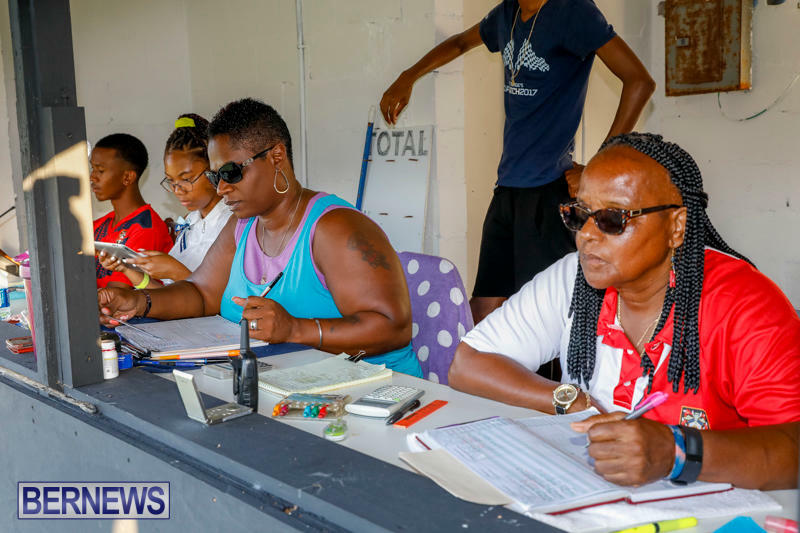 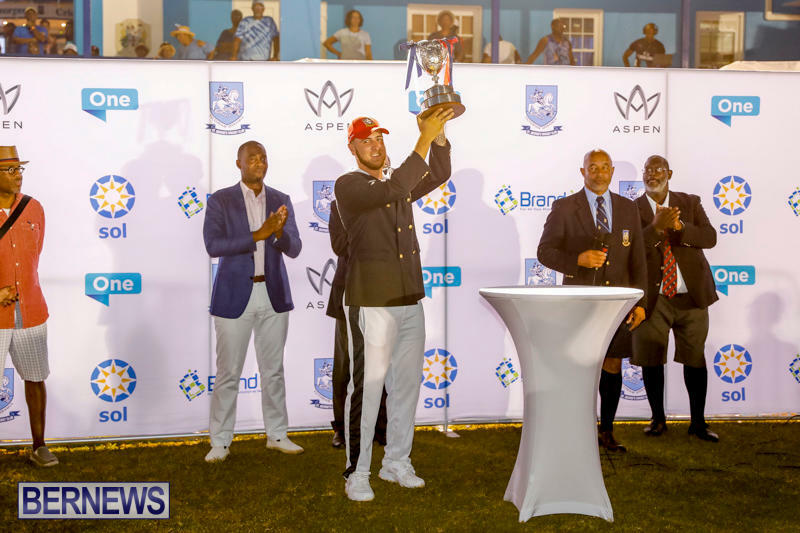 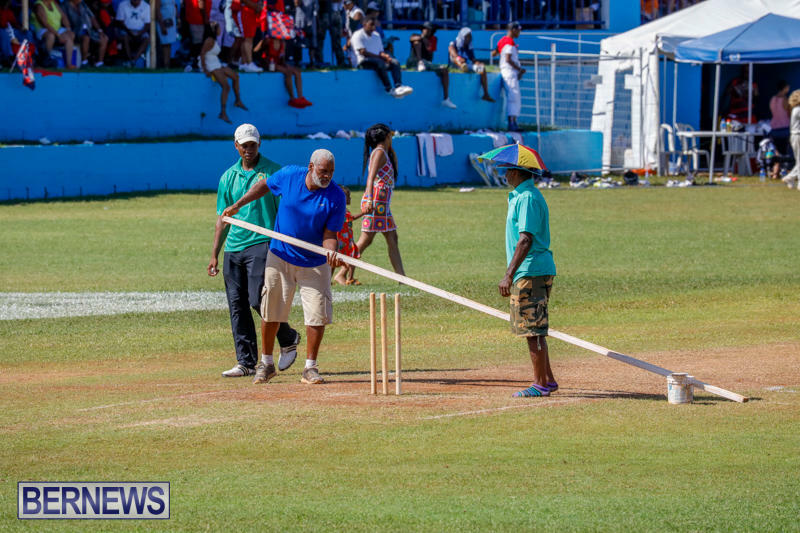 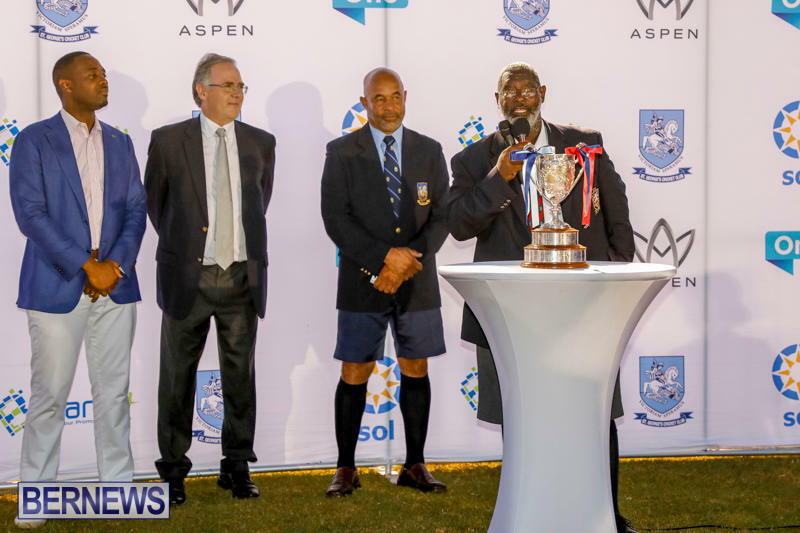 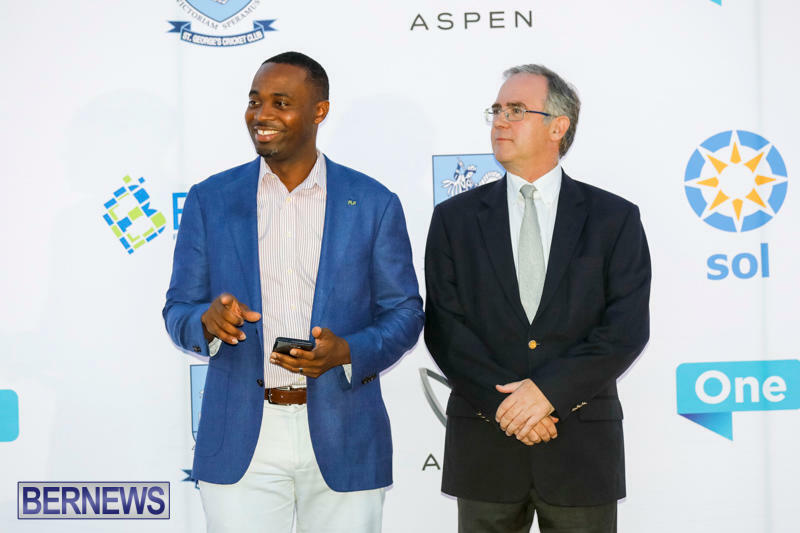 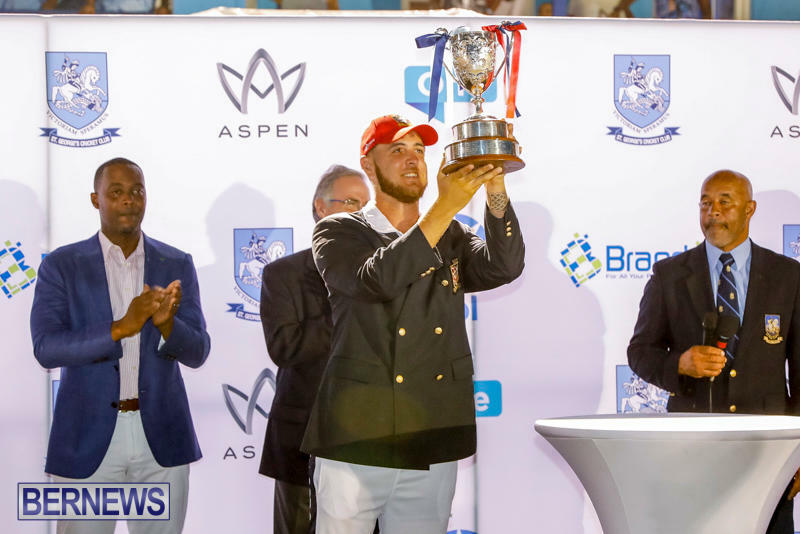 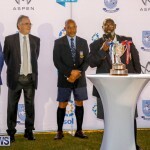 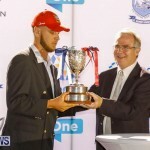 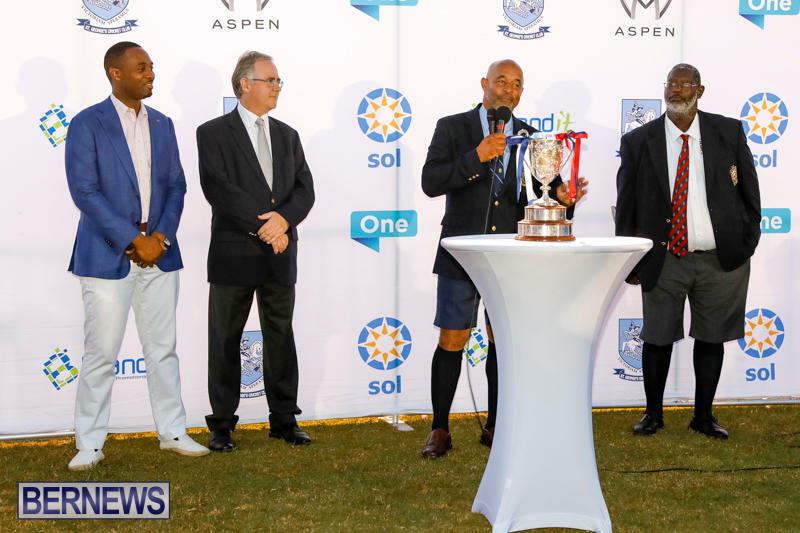 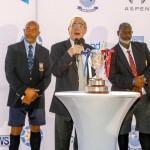 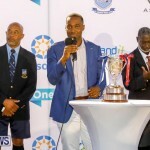 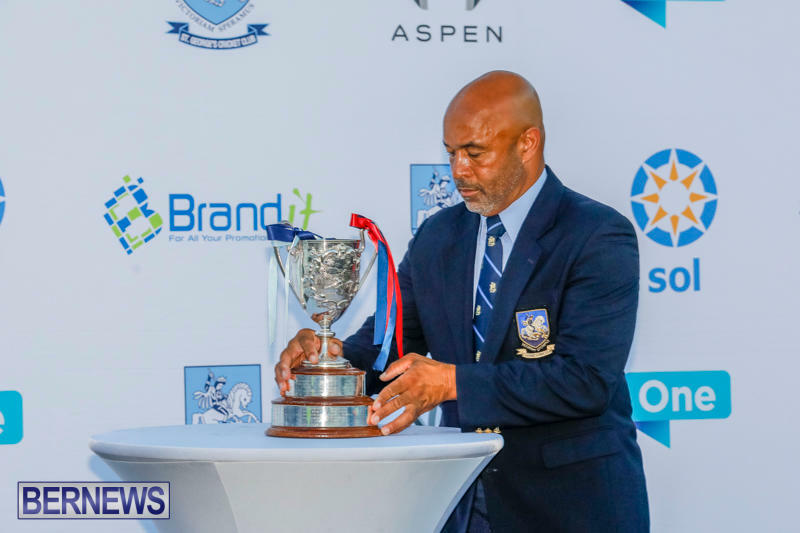 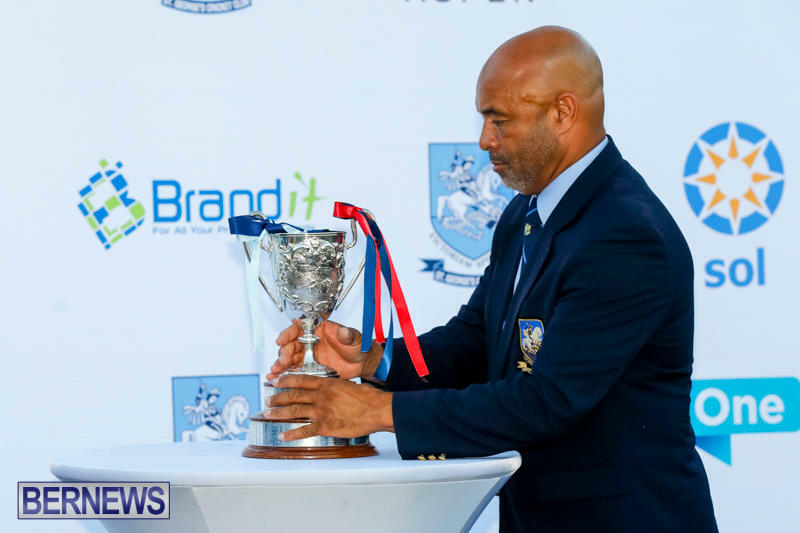 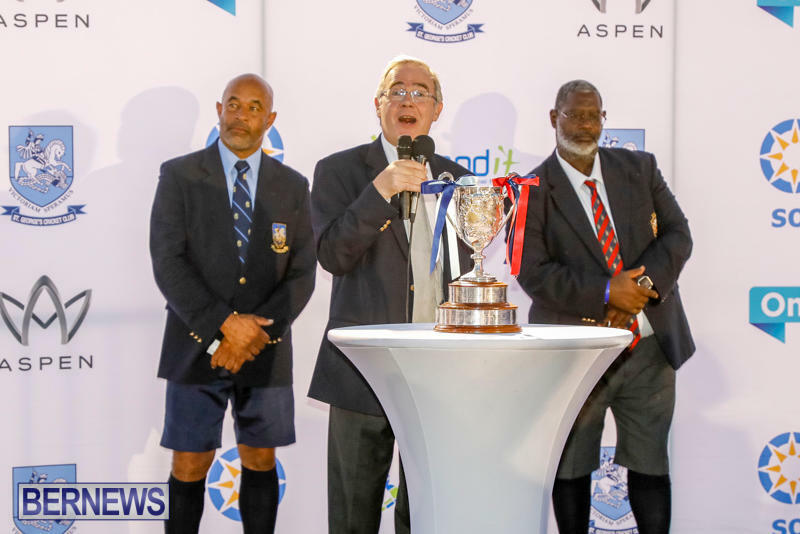 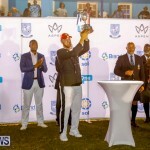 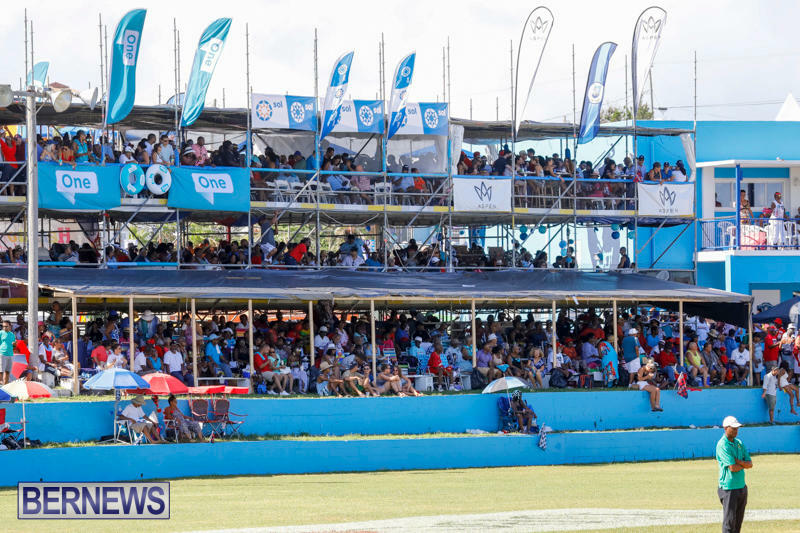 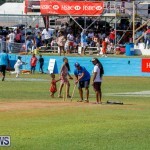 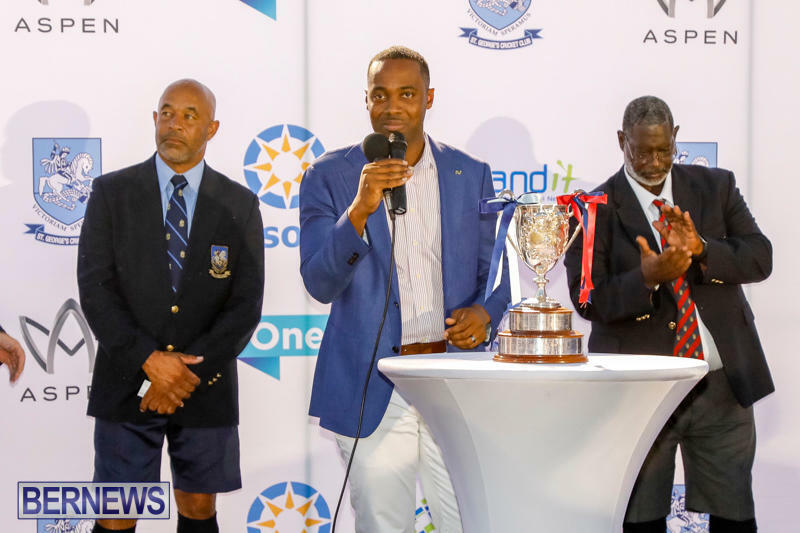 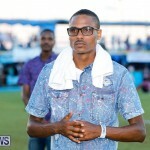 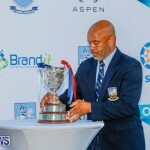 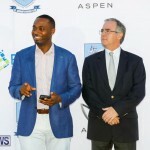 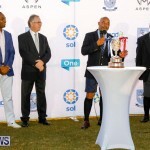 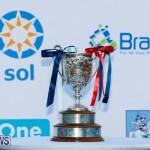 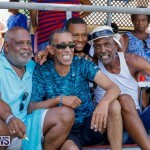 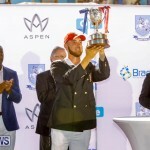 The Annual Cup Match Classic ended in a draw on Friday [Aug 4] after heavy rain caused a number of delays and suspended play on the first day. 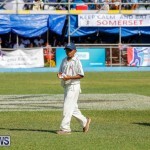 Somerset won the toss and sent St. George’s in to bat. 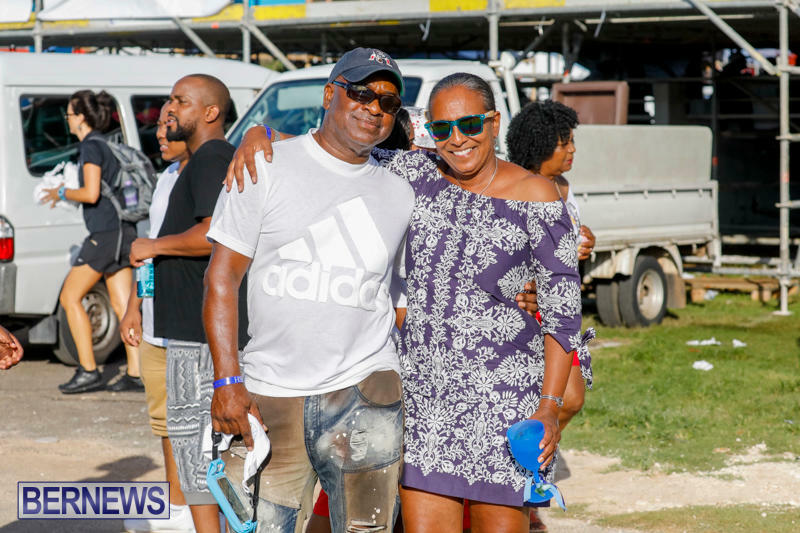 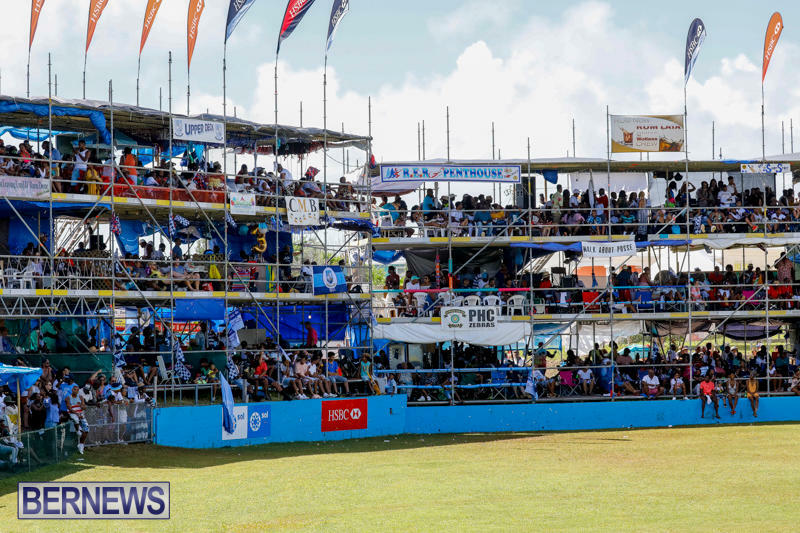 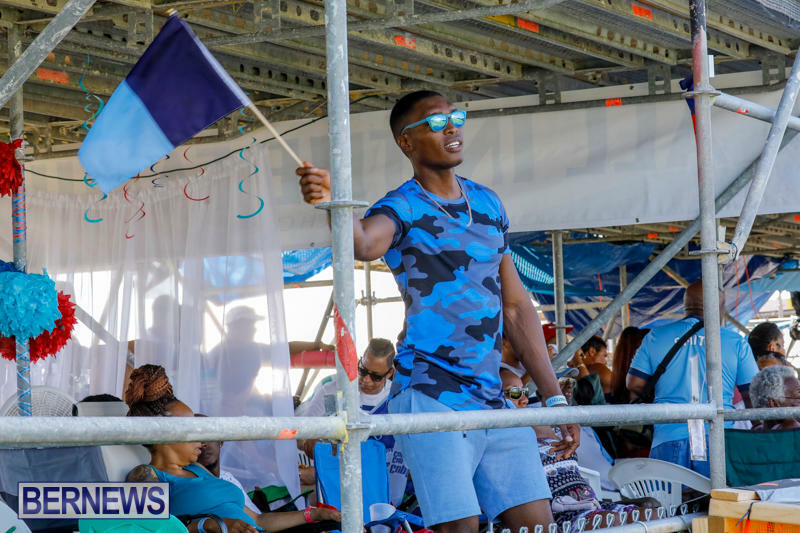 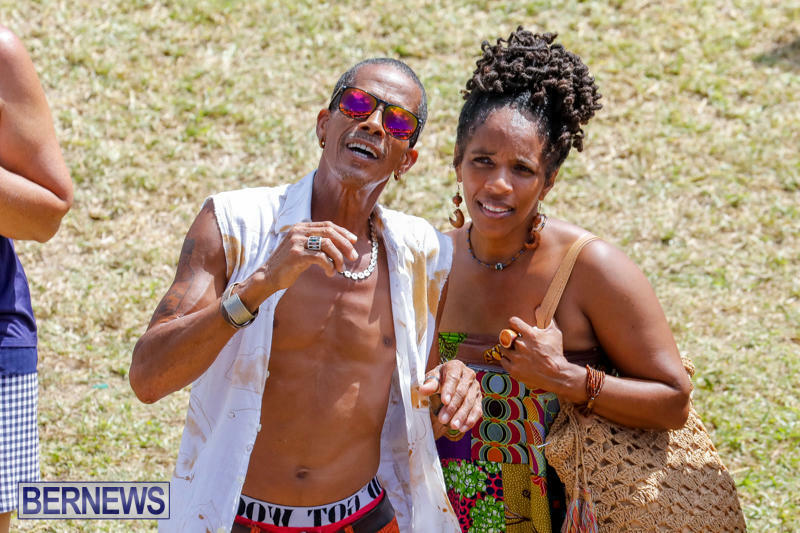 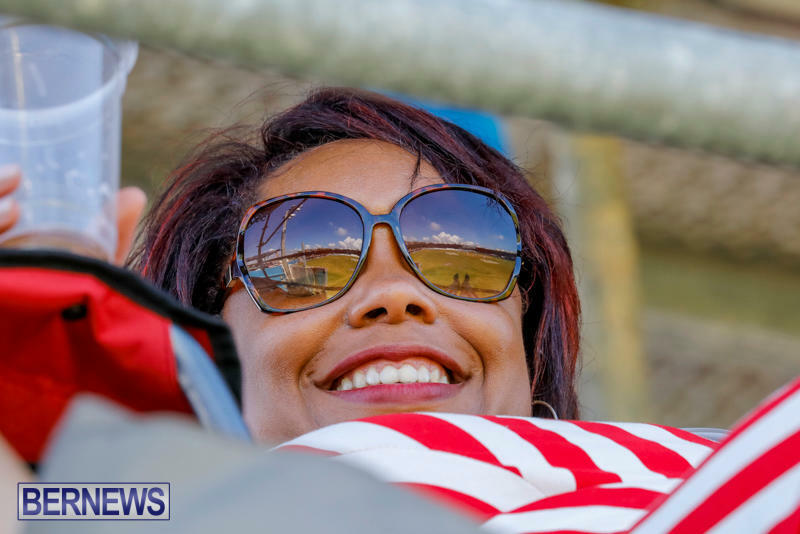 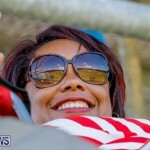 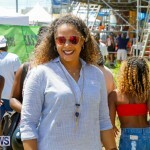 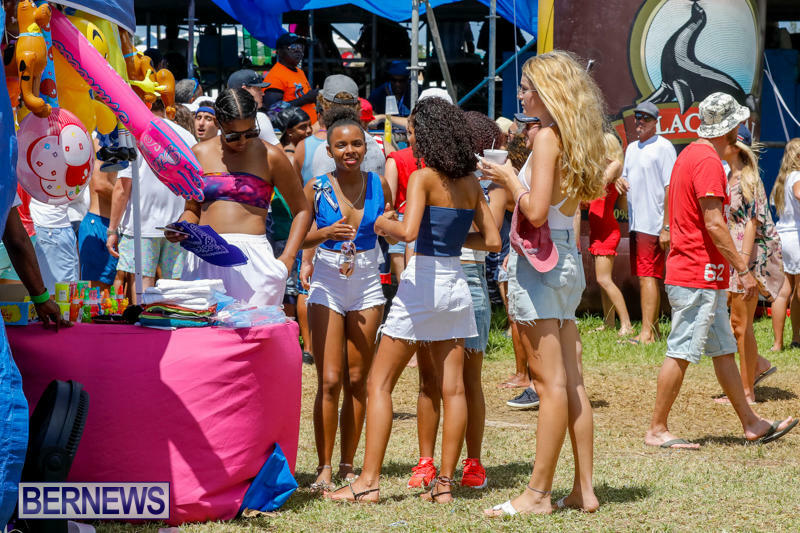 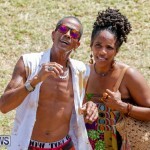 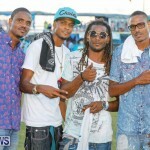 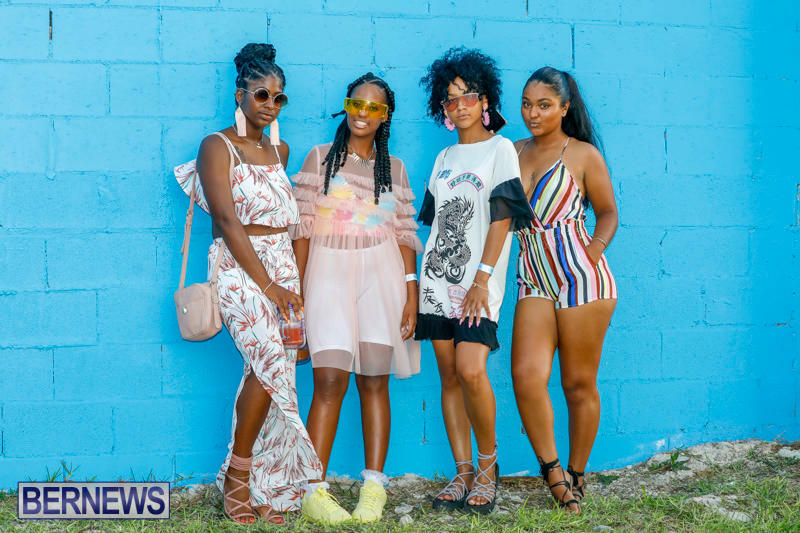 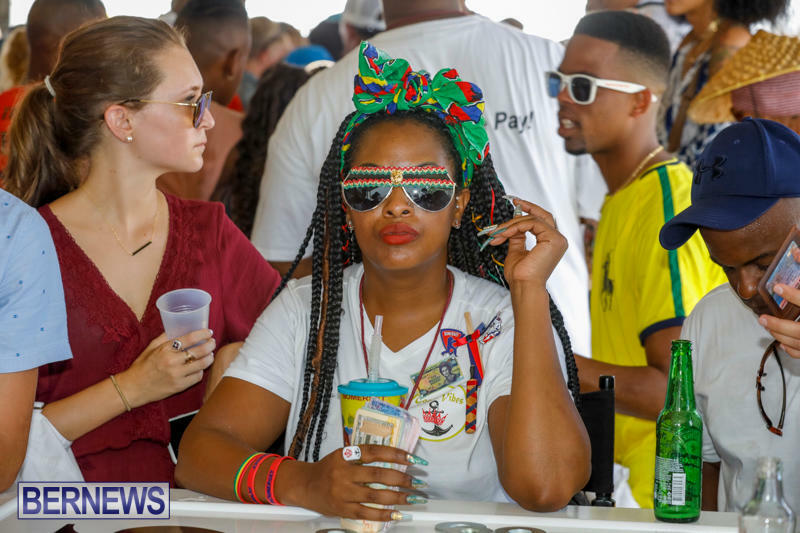 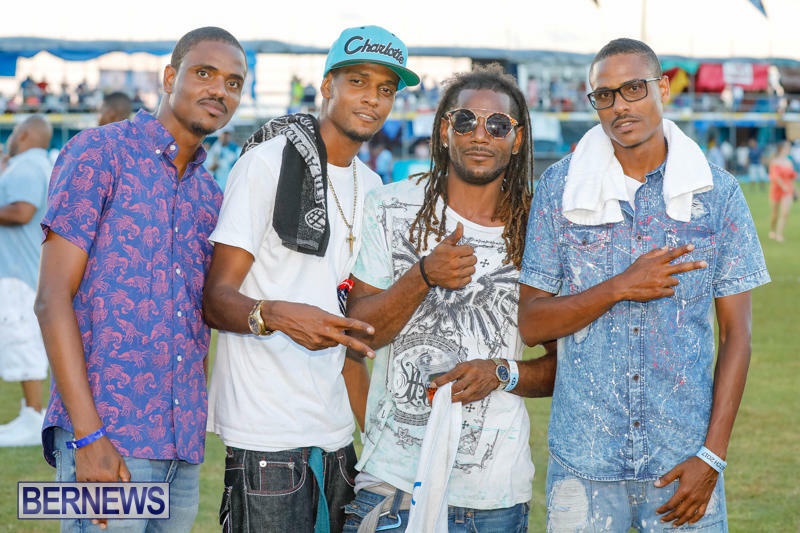 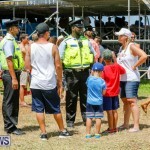 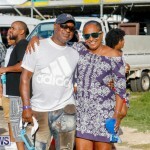 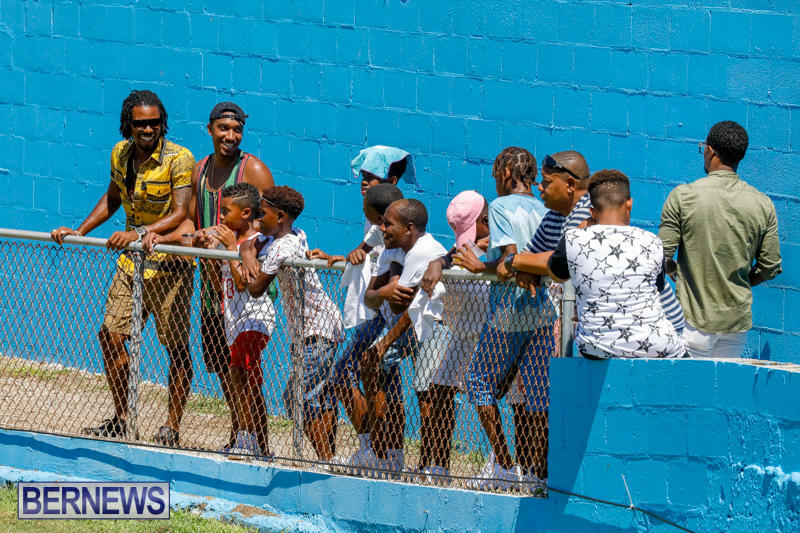 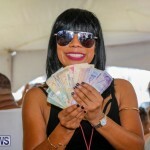 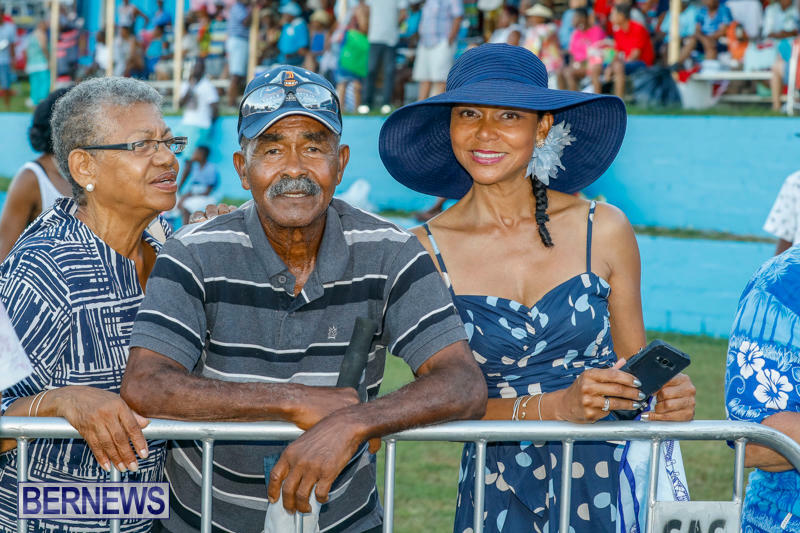 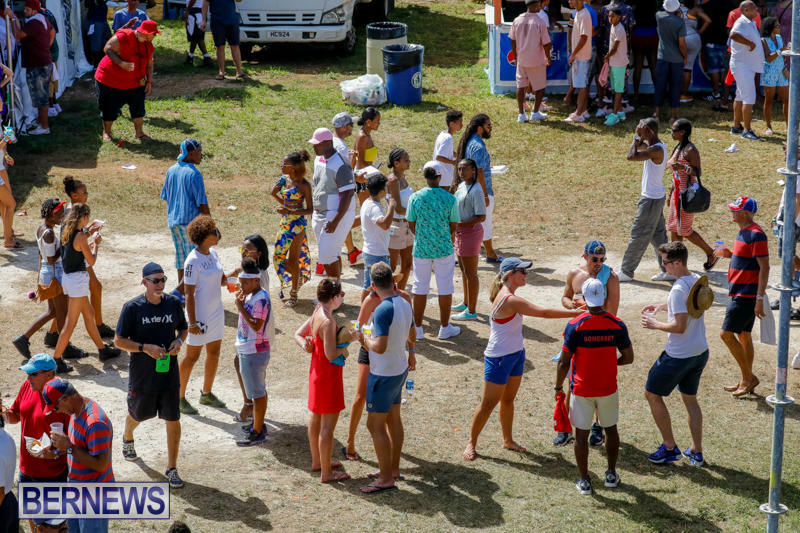 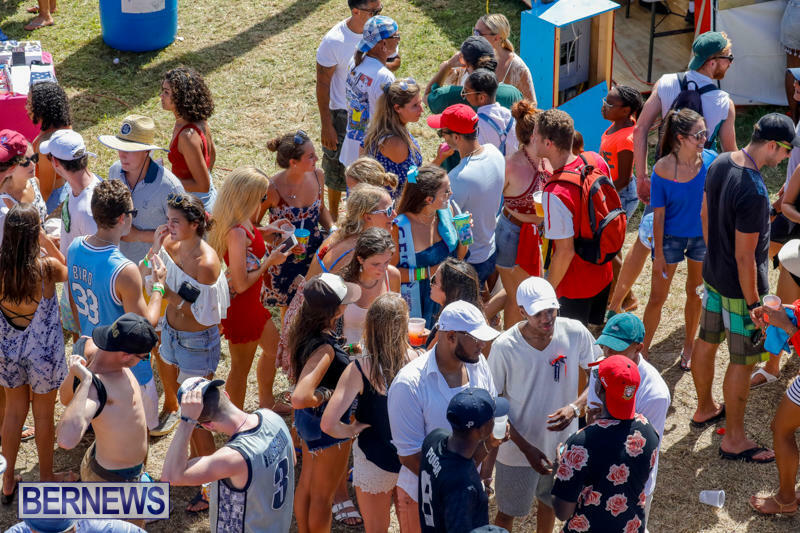 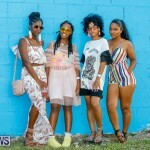 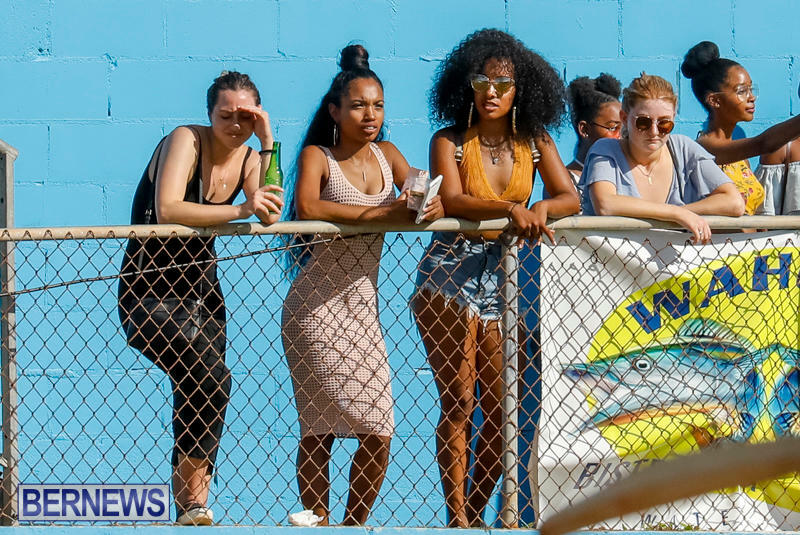 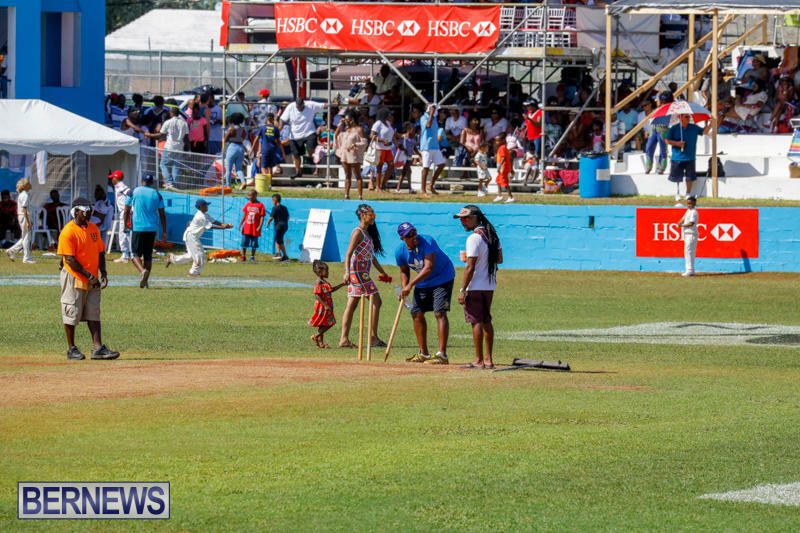 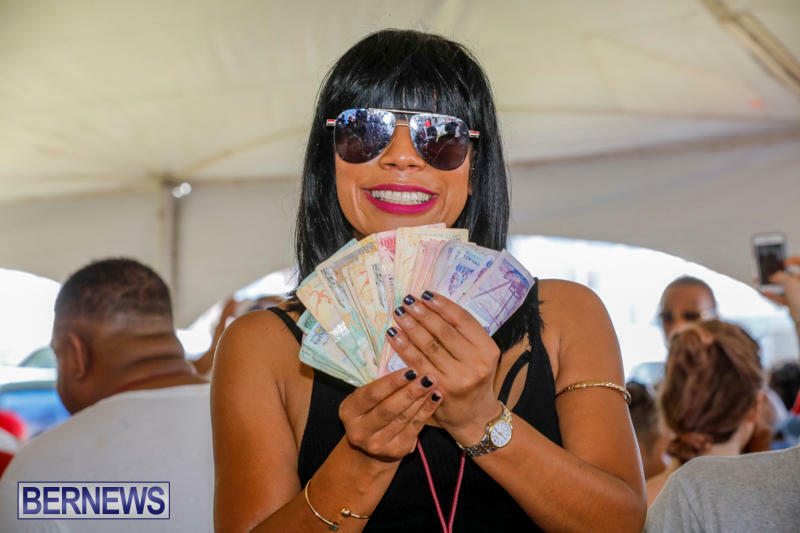 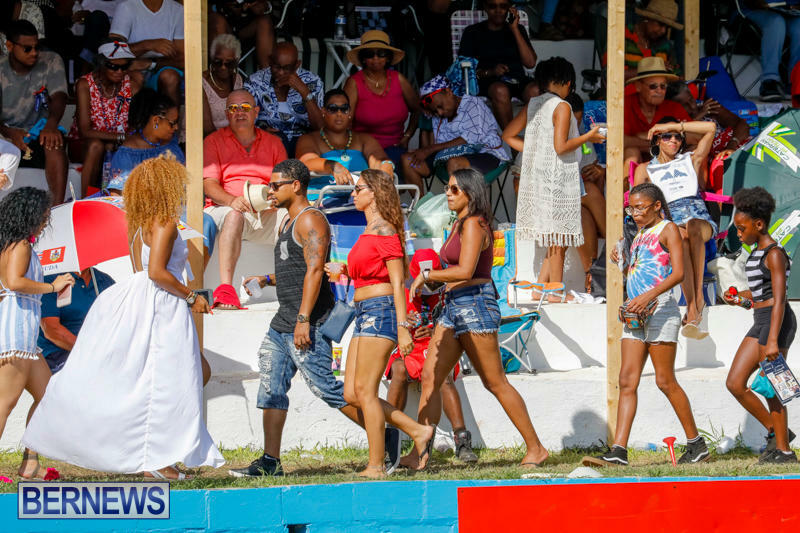 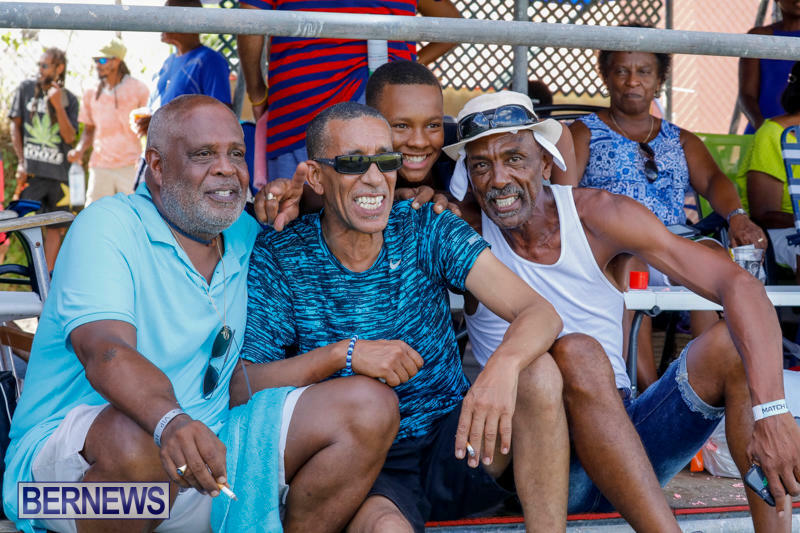 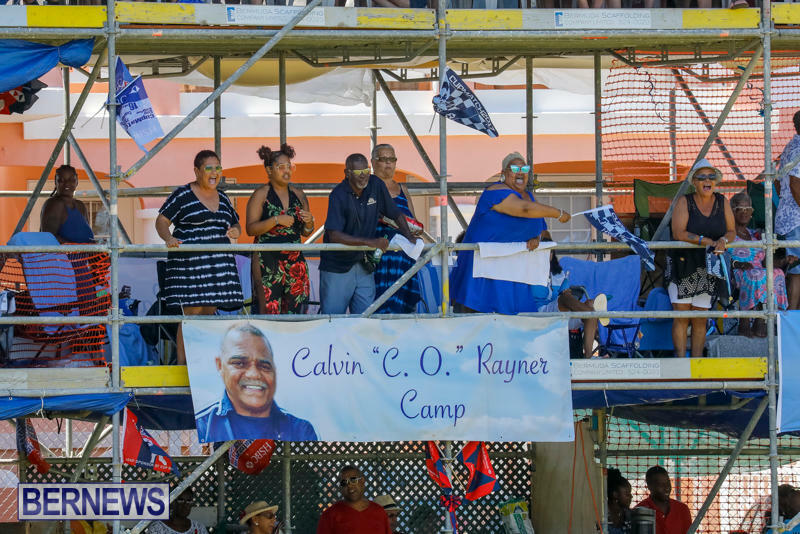 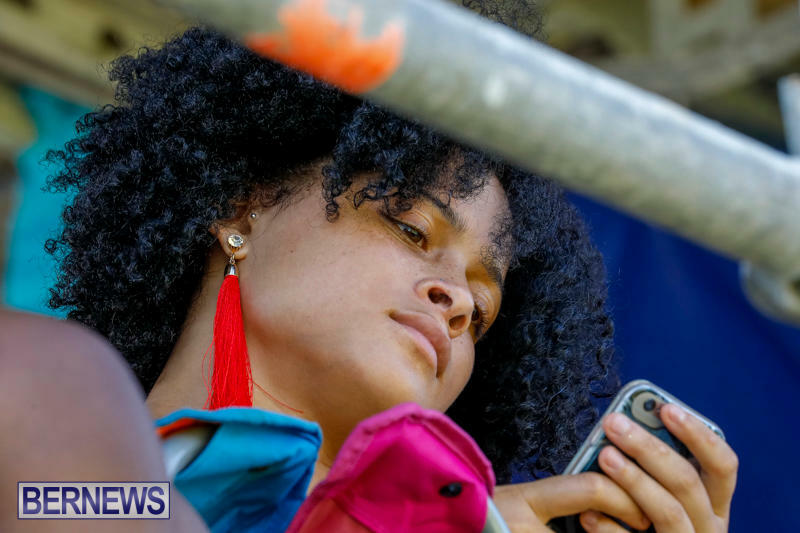 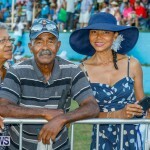 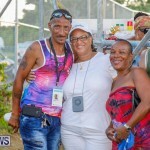 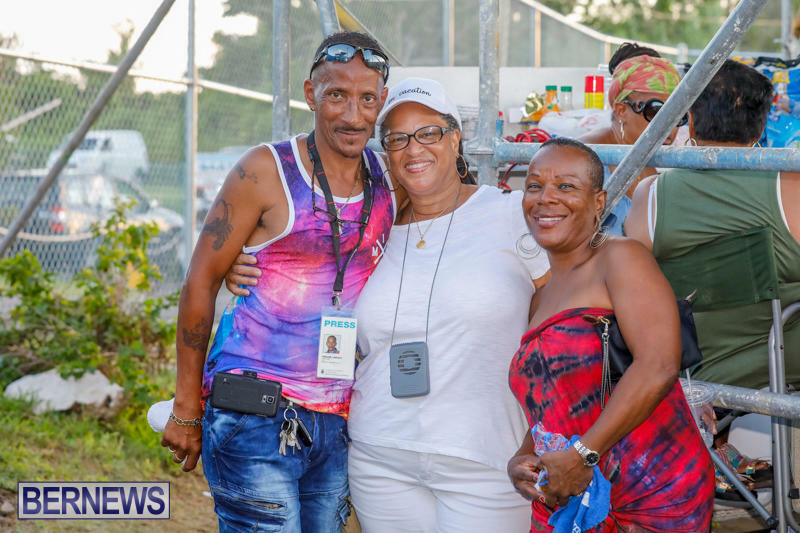 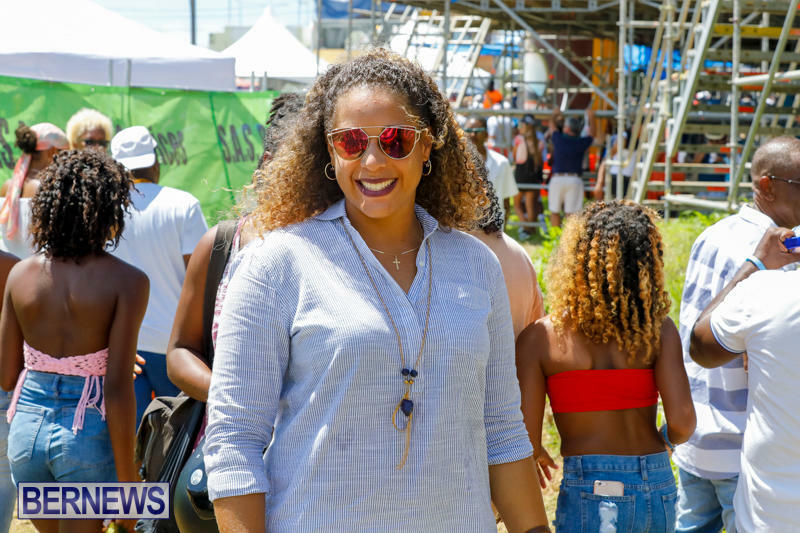 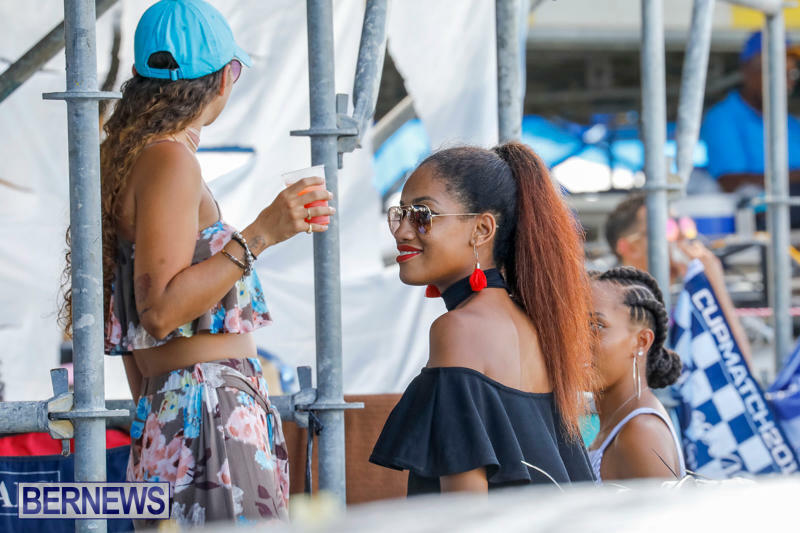 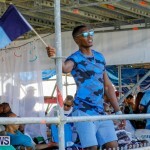 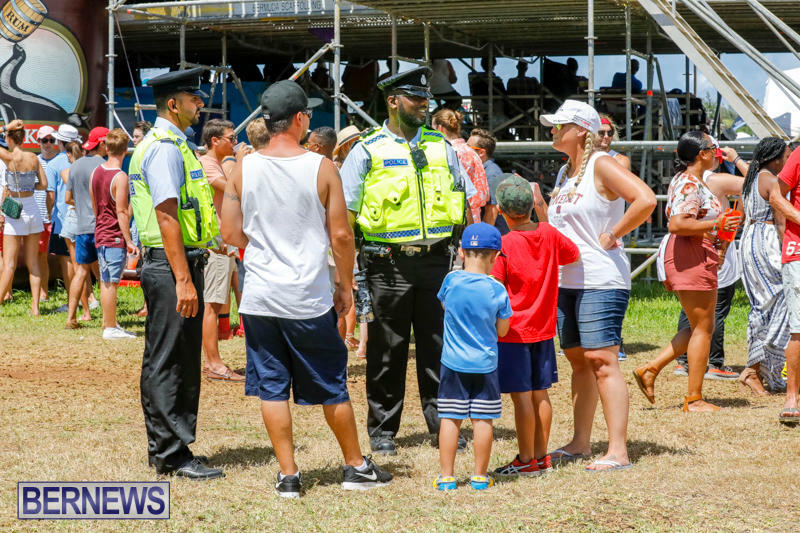 The skies cleared for Friday and the crowds flocked to the east end grounds to watch the game or just enjoy the festivities around the field. 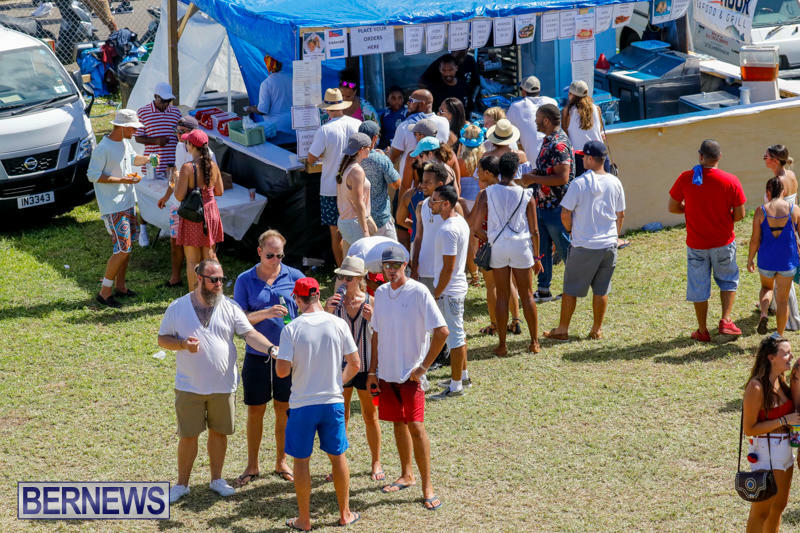 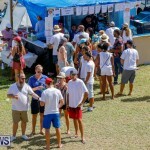 Vendors were kept busy on the second day with lots of food, refreshments and snowballs available. 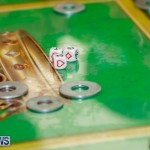 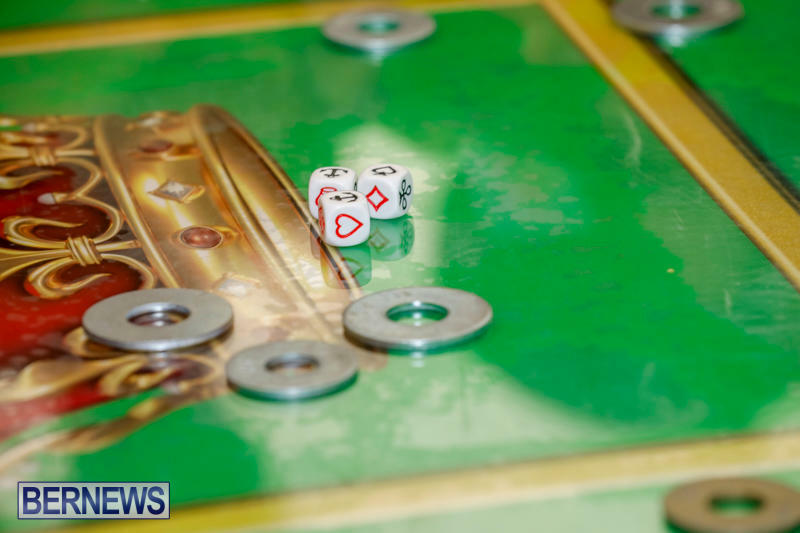 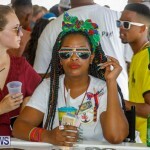 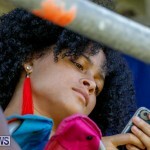 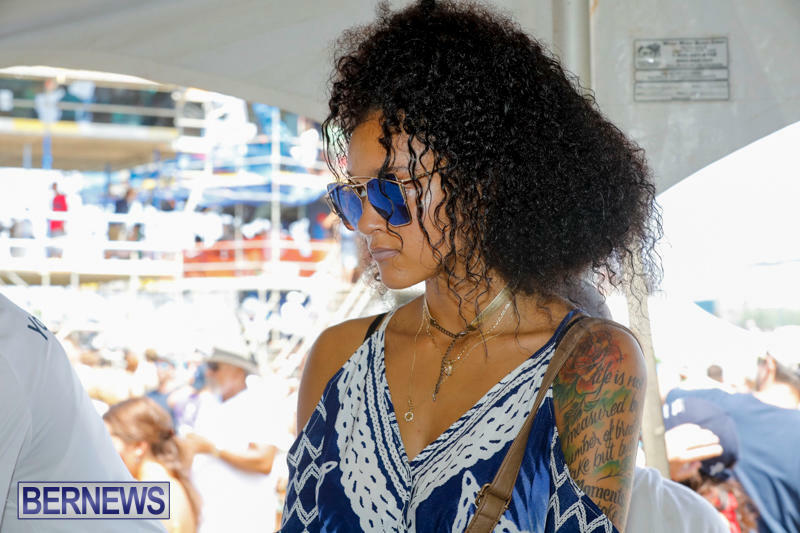 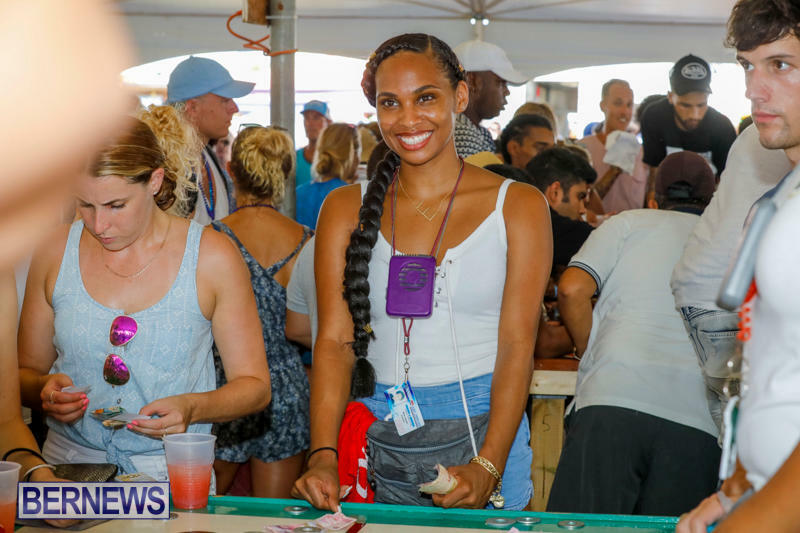 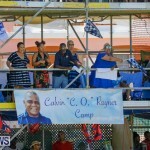 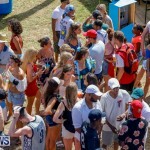 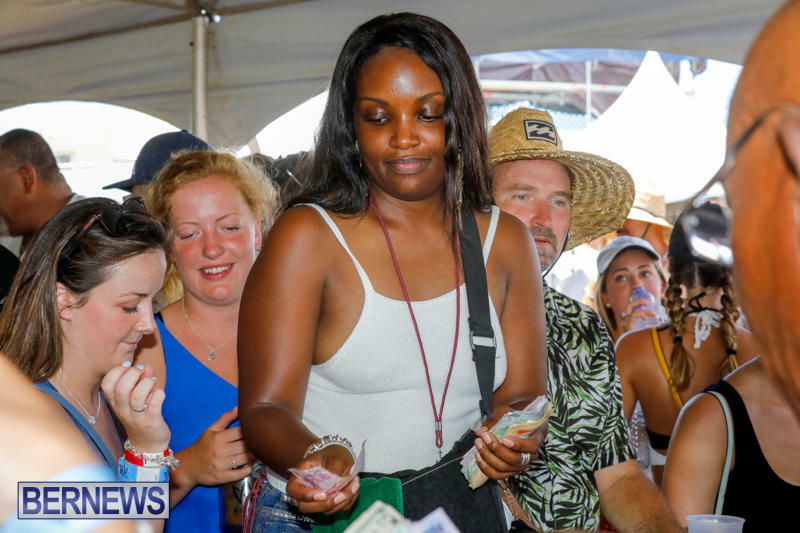 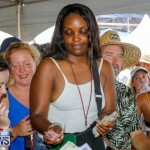 The Crown and Anchor tent saw all tables surrounded with crowds enjoying the game and having a good time. 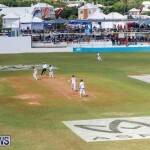 St. George’s were all out for 89 in the first innings while Somerset declared at 211-7. 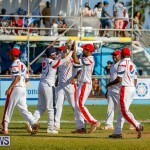 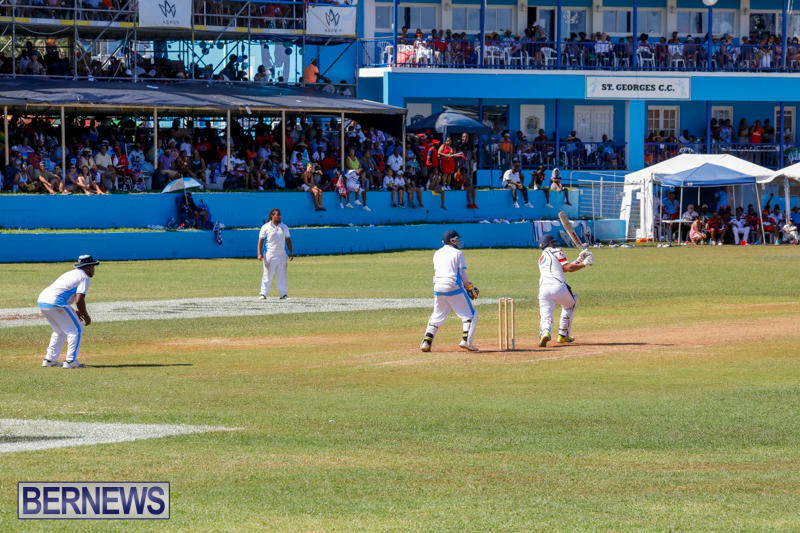 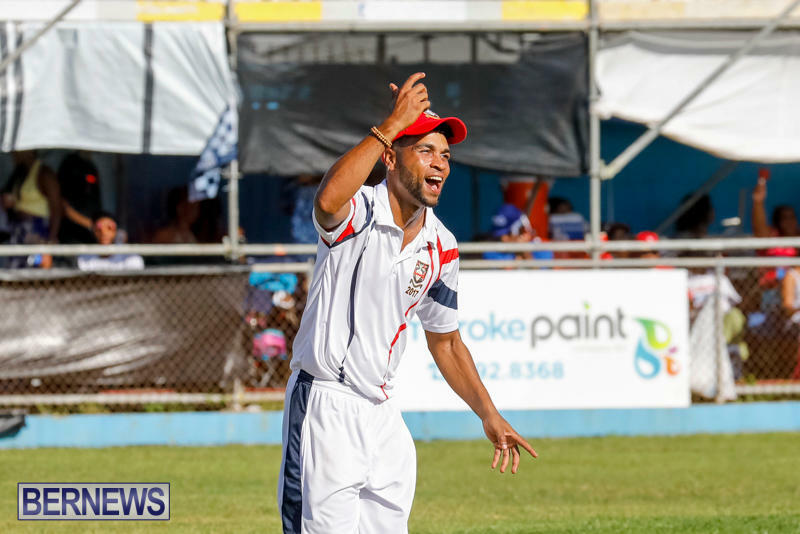 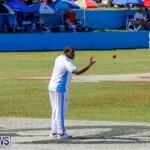 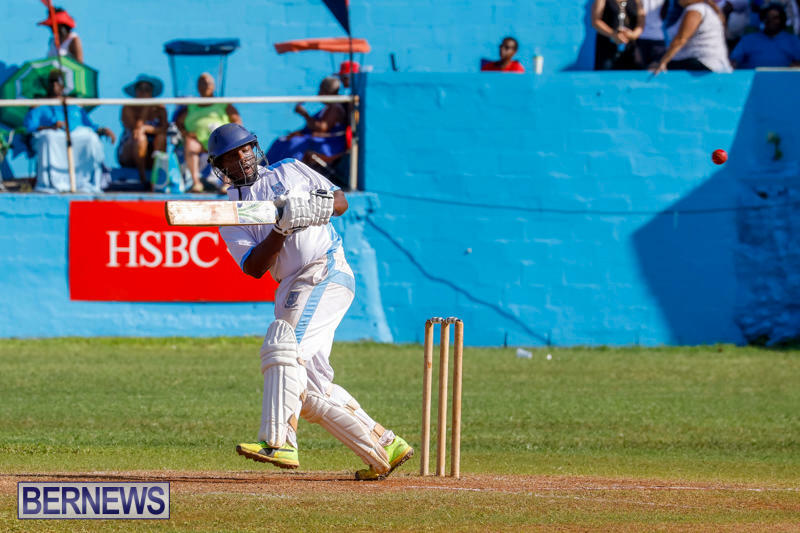 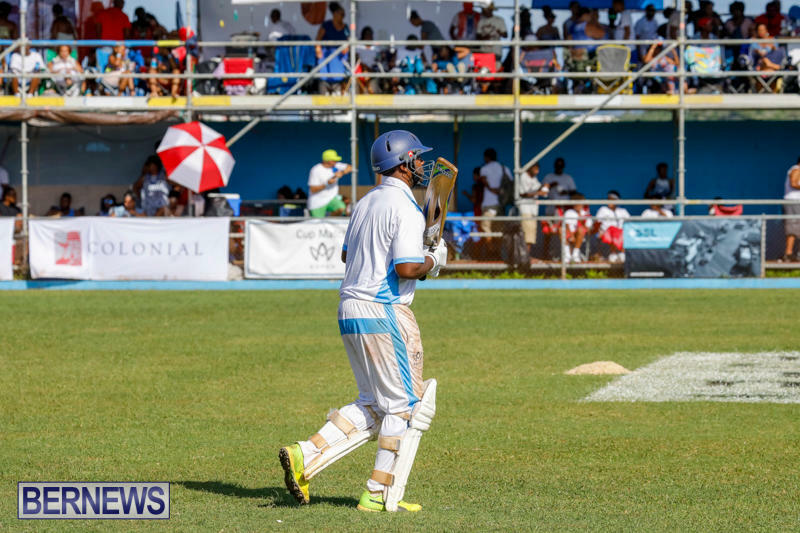 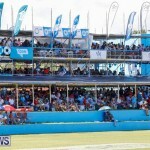 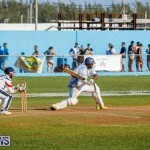 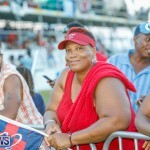 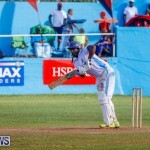 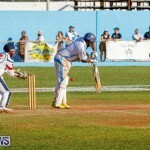 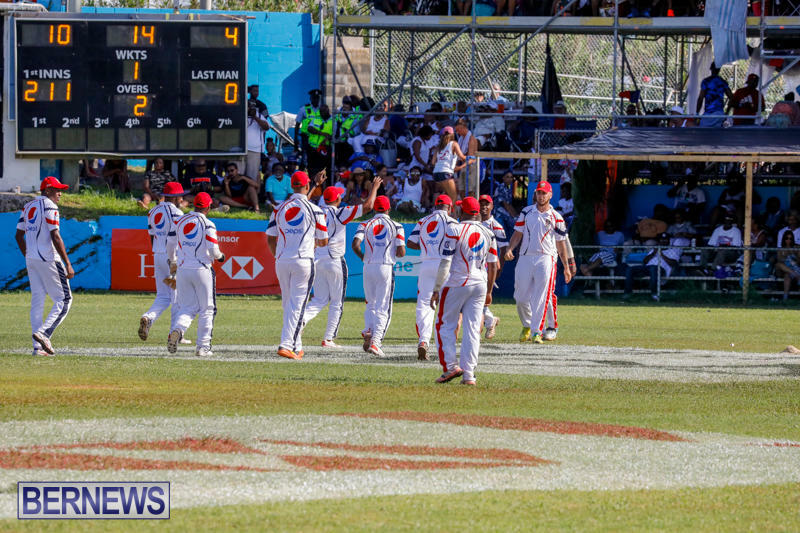 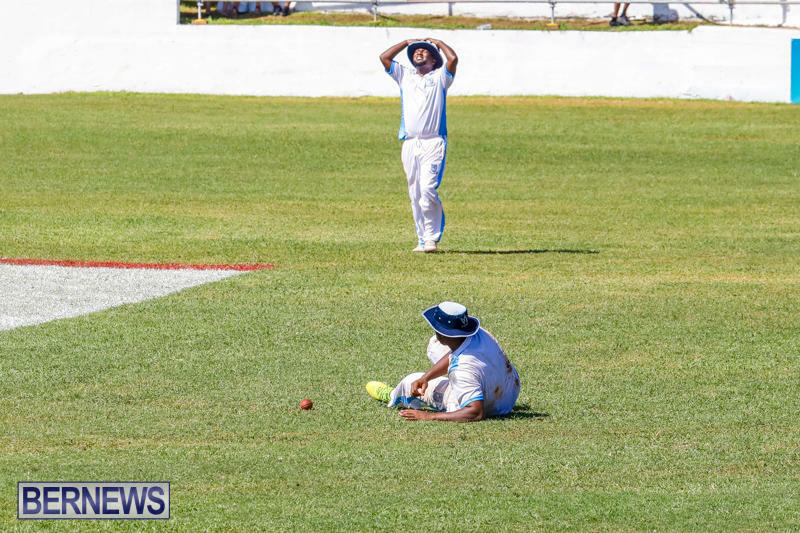 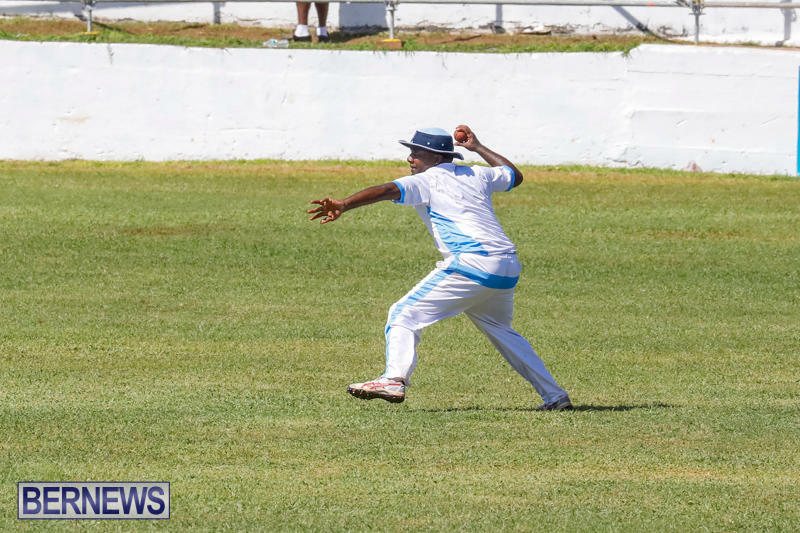 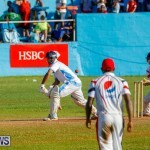 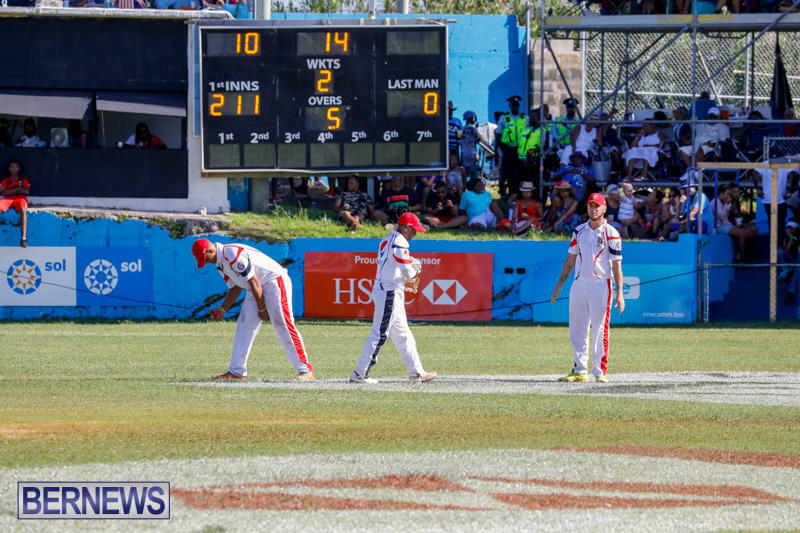 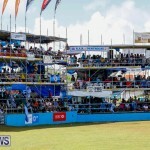 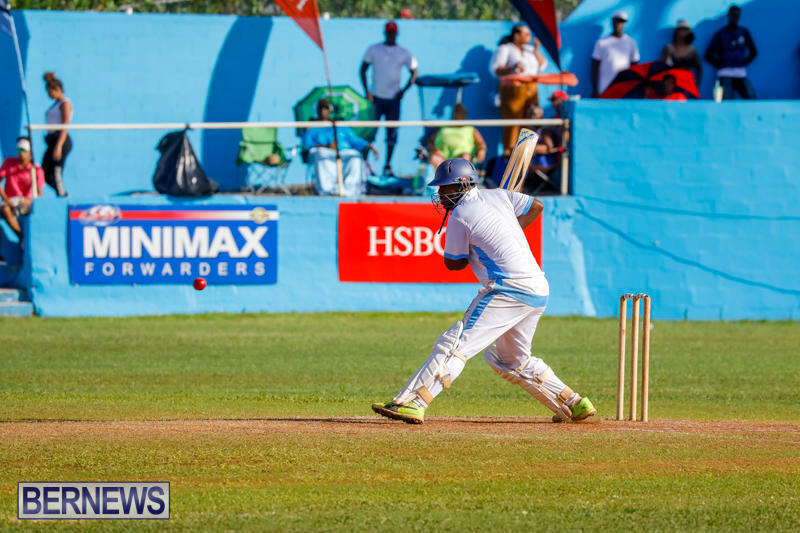 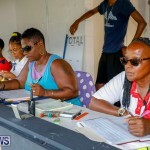 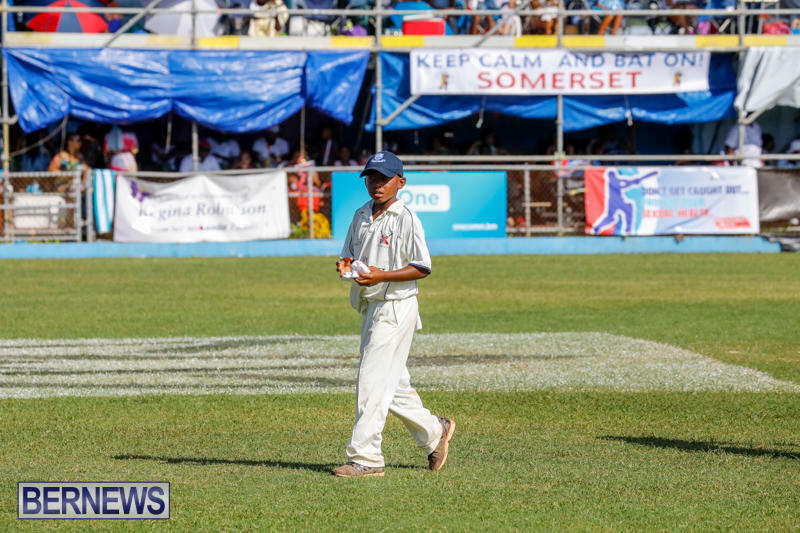 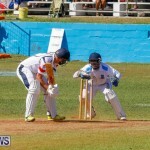 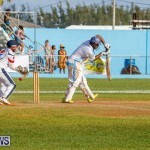 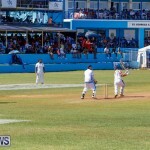 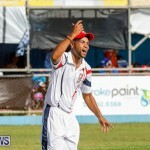 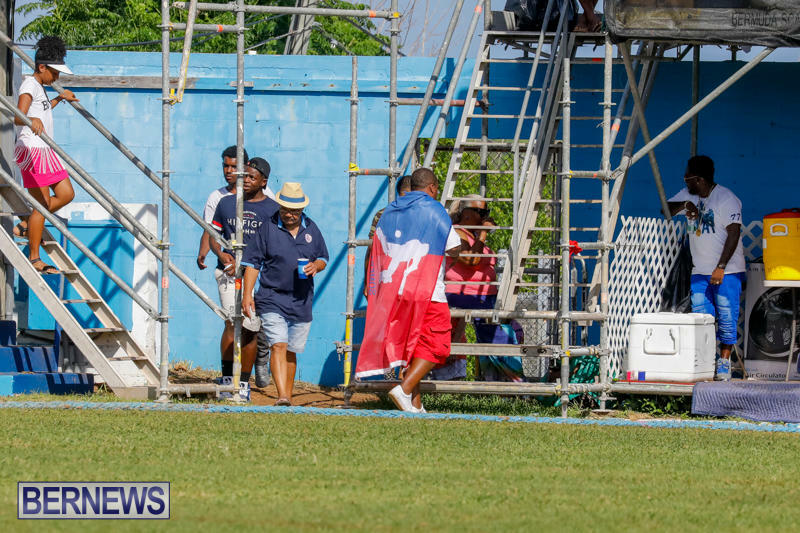 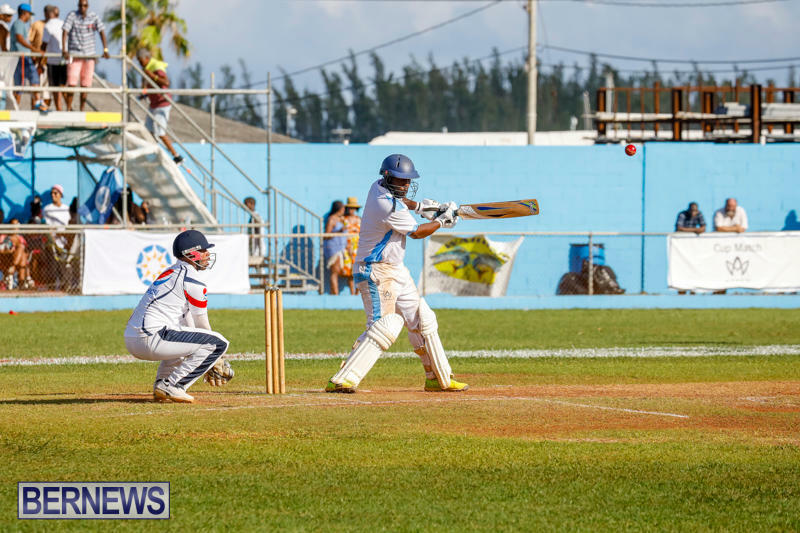 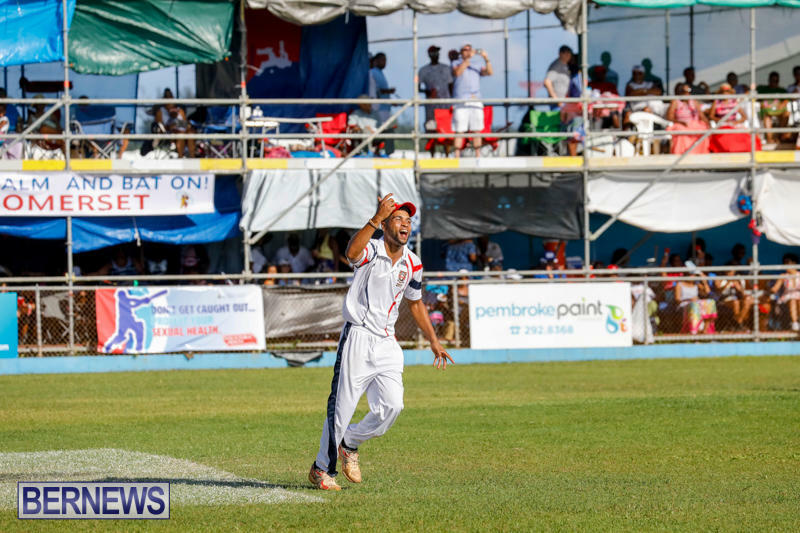 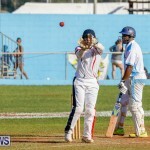 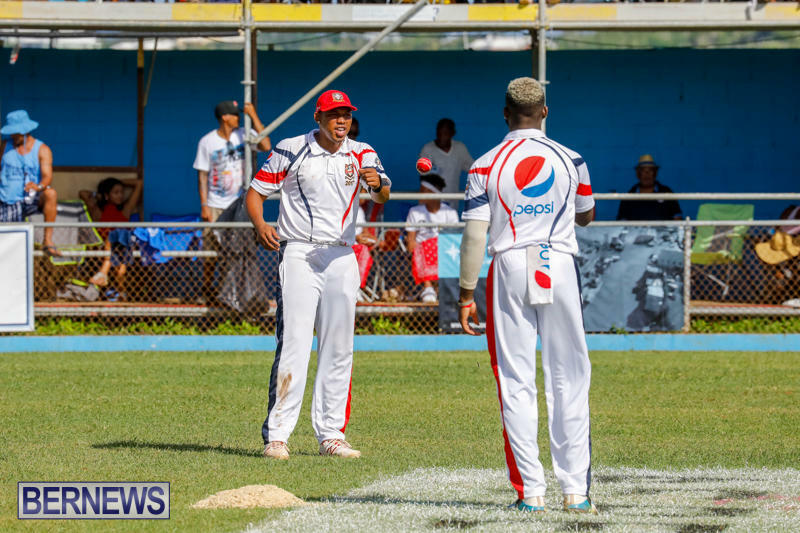 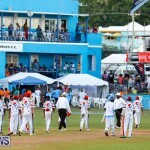 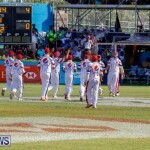 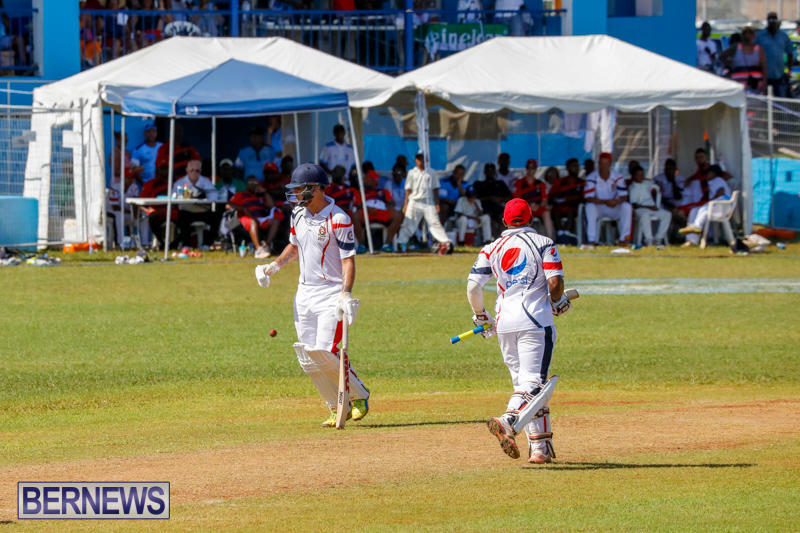 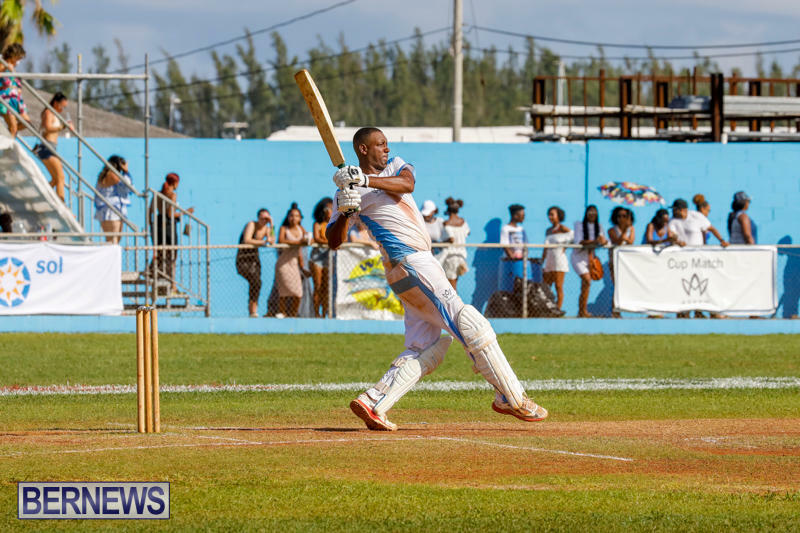 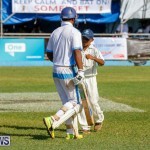 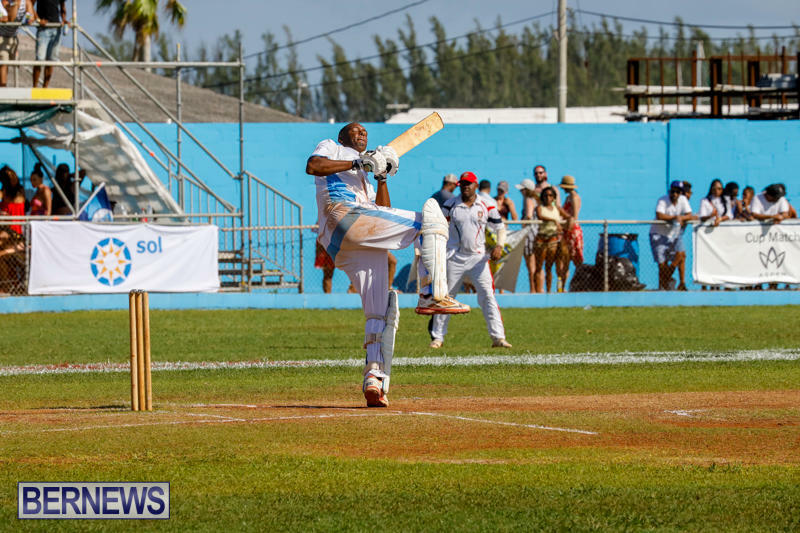 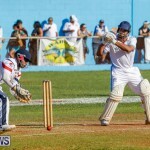 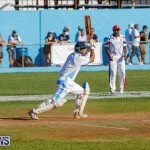 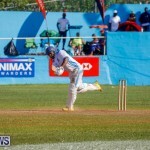 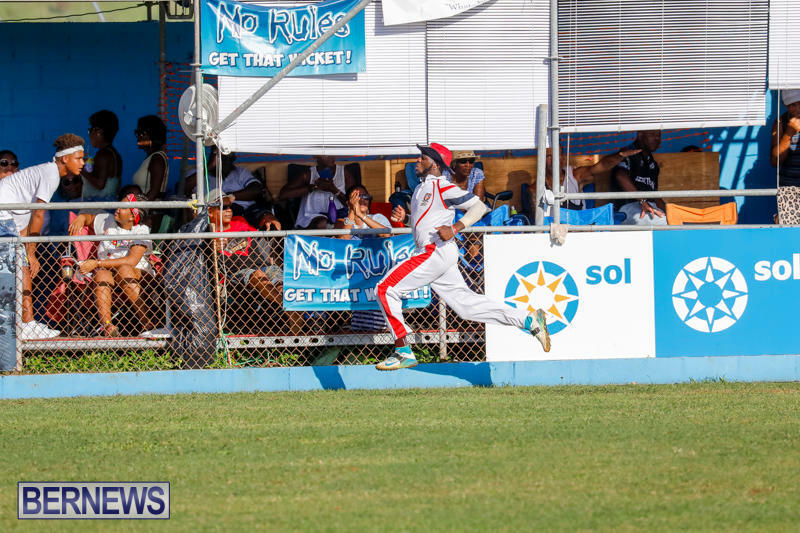 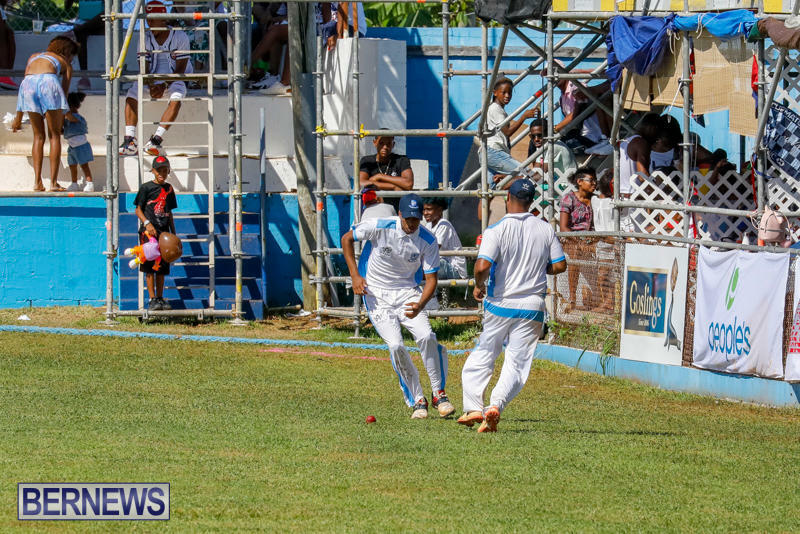 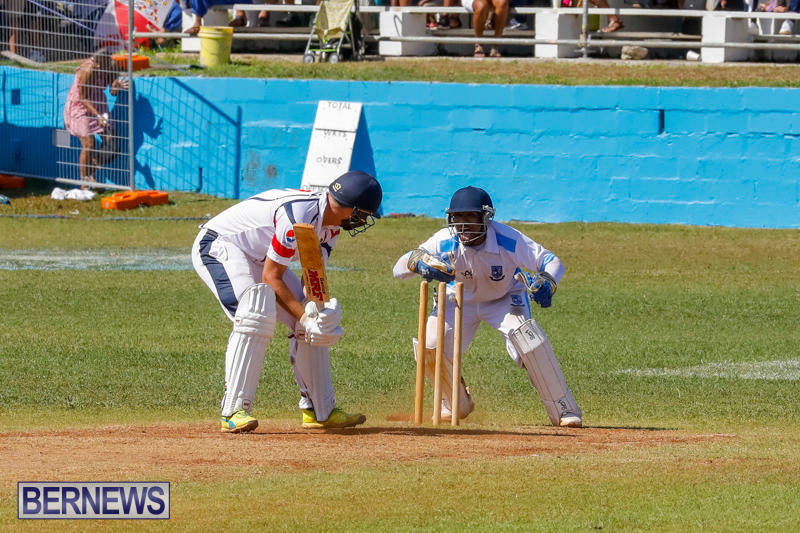 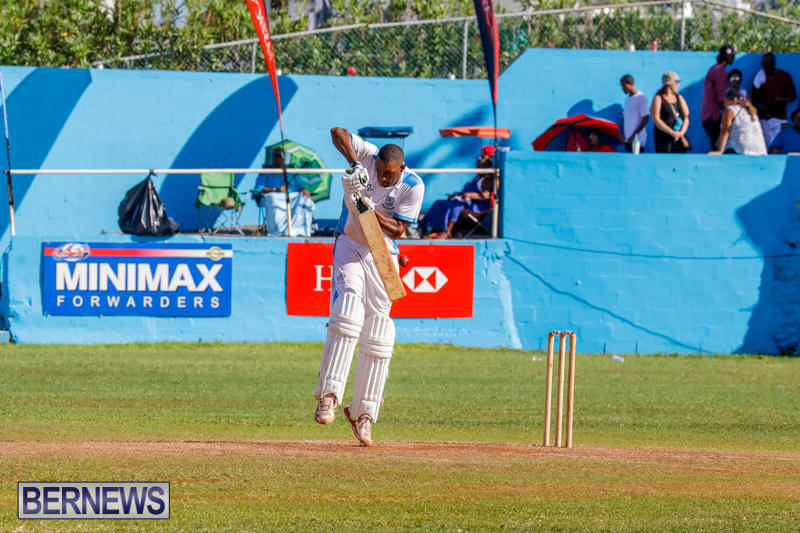 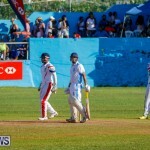 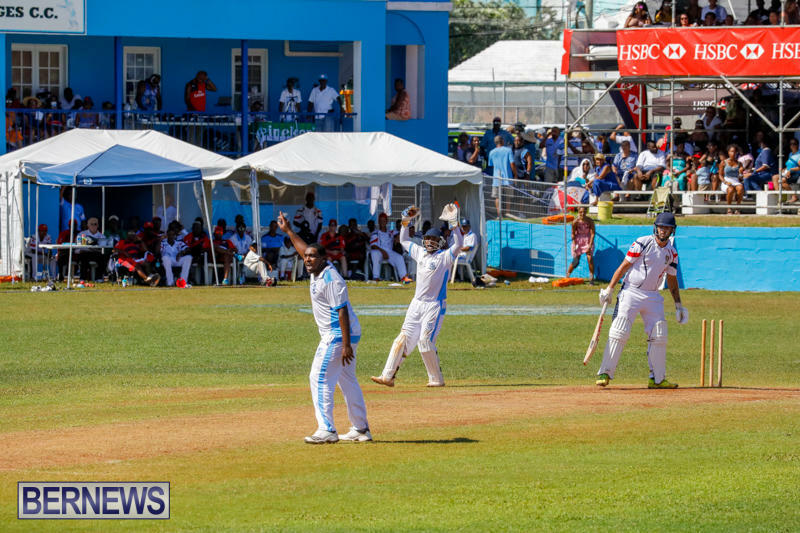 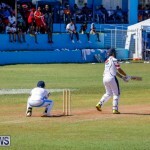 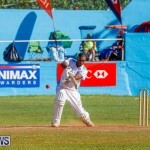 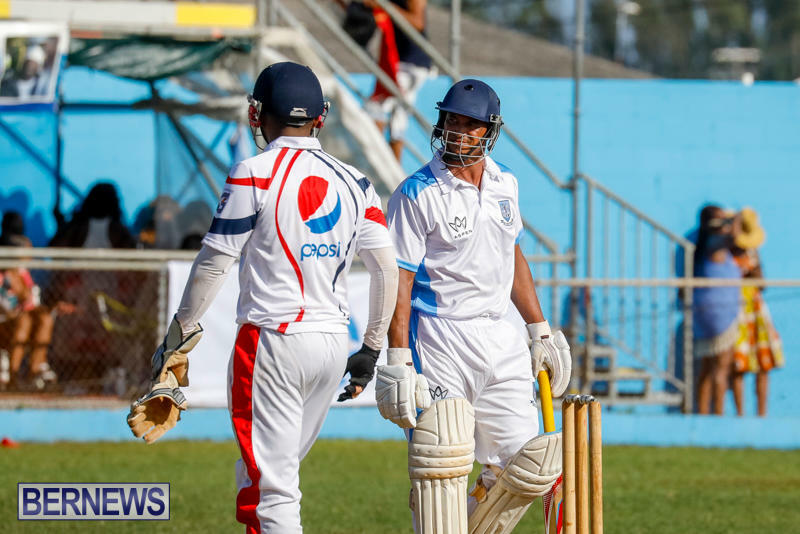 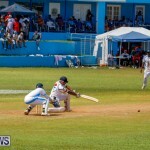 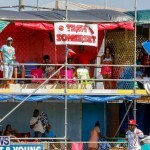 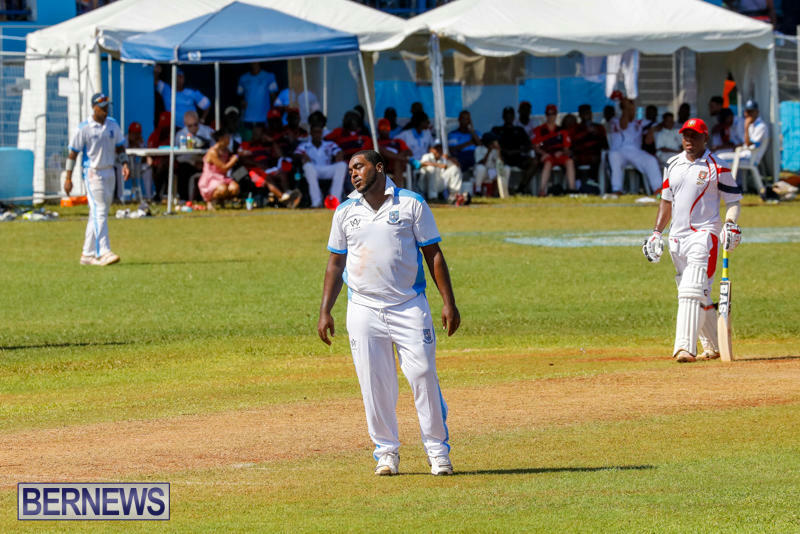 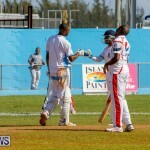 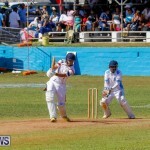 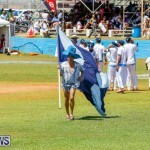 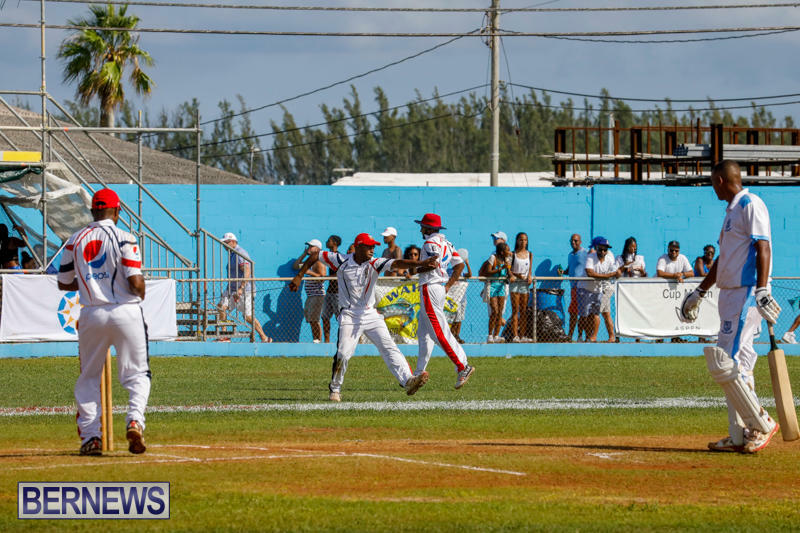 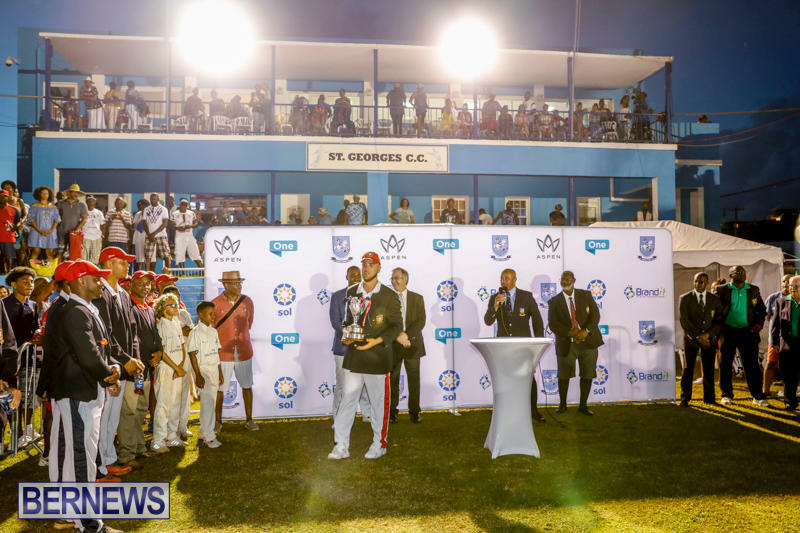 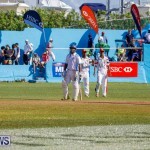 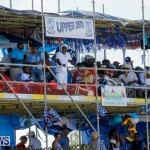 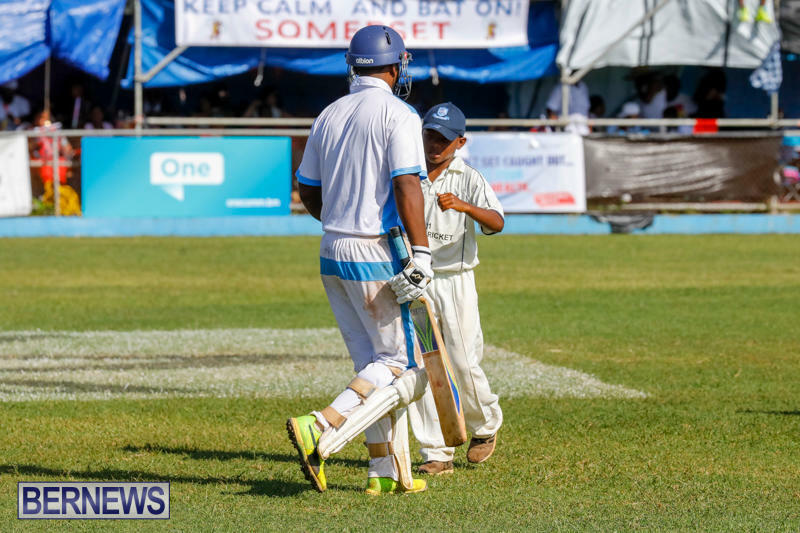 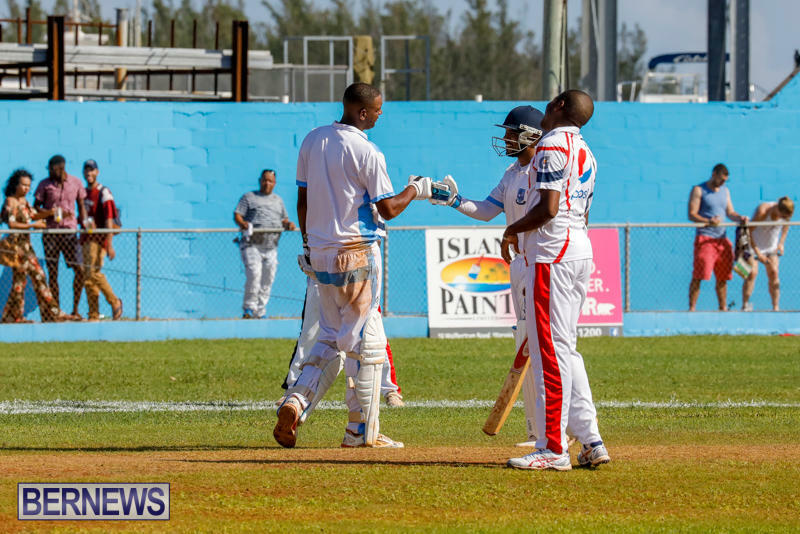 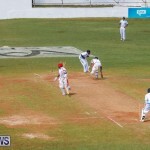 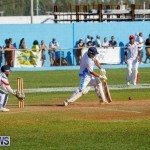 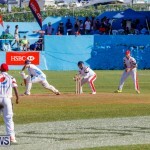 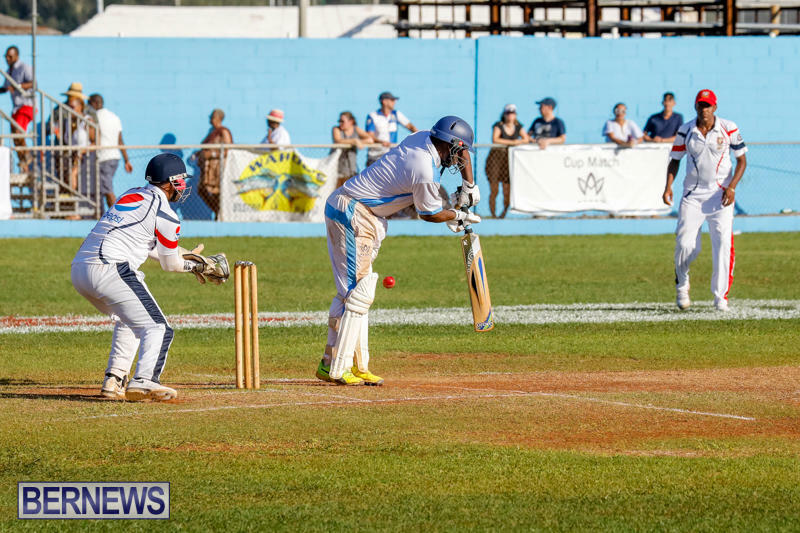 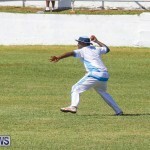 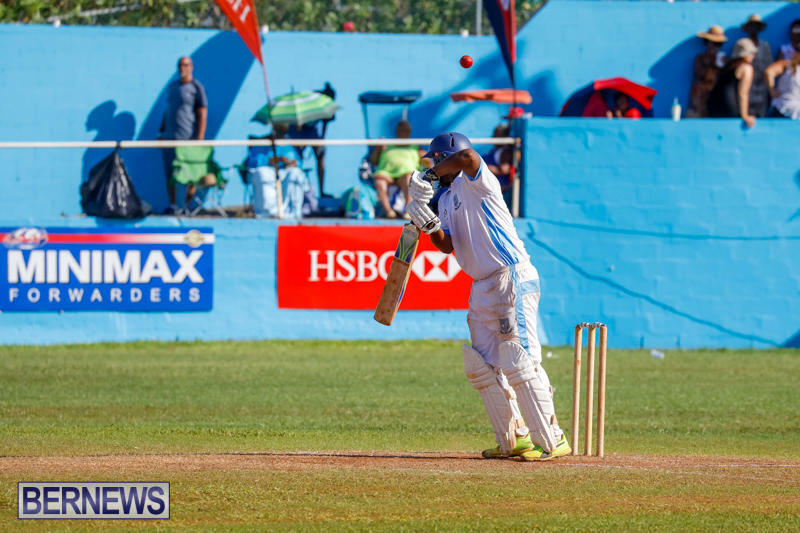 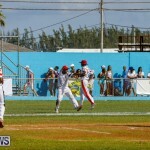 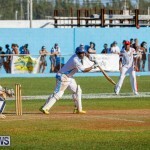 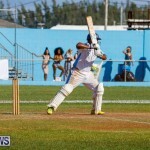 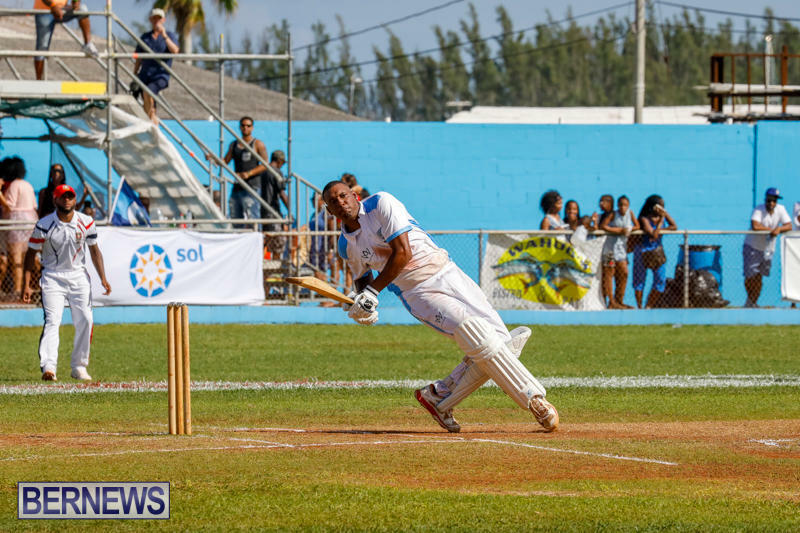 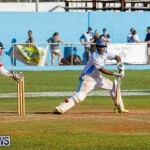 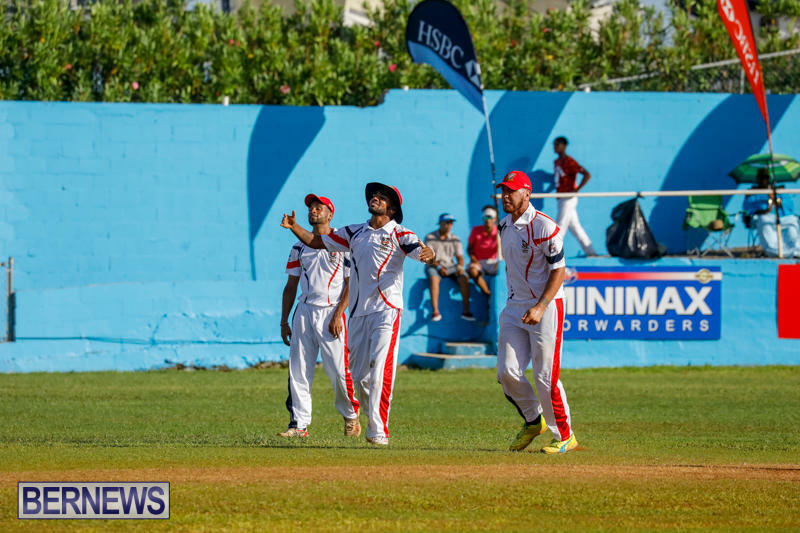 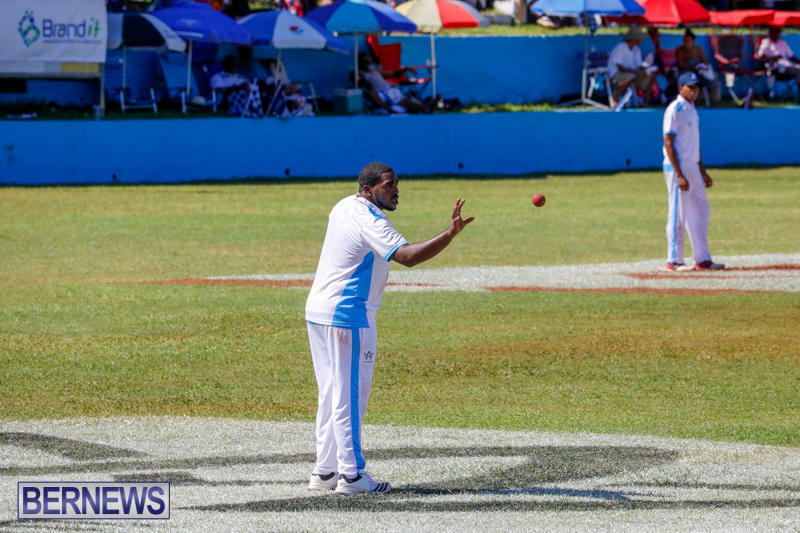 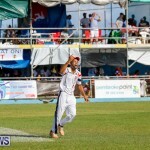 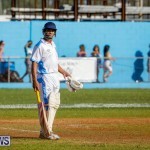 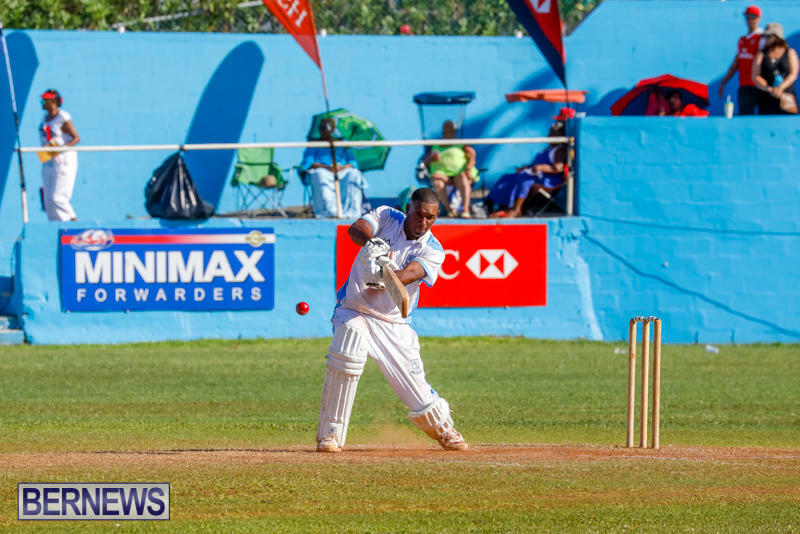 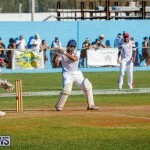 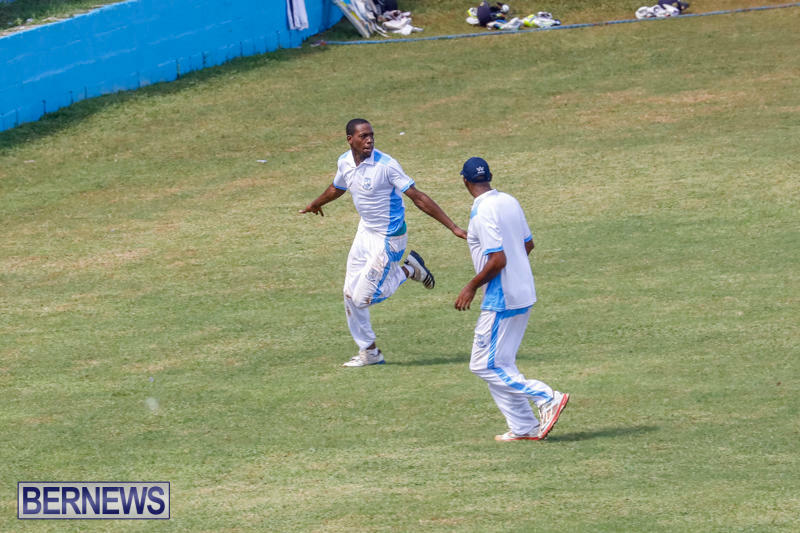 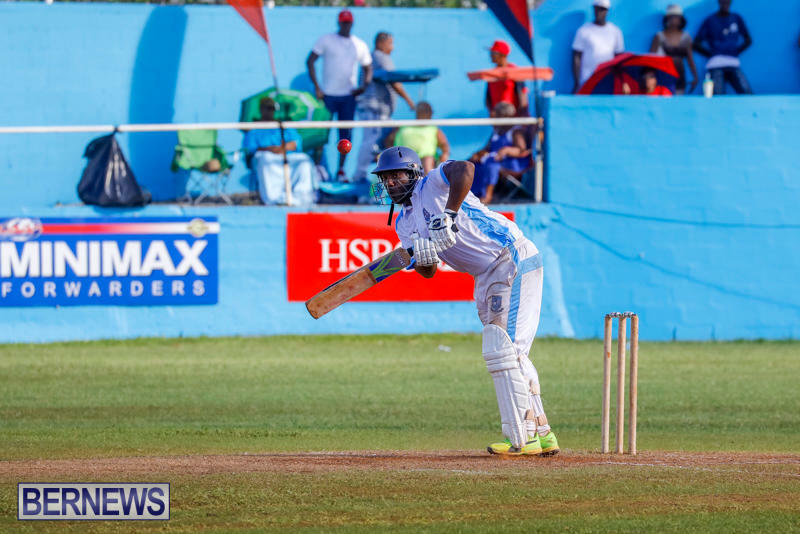 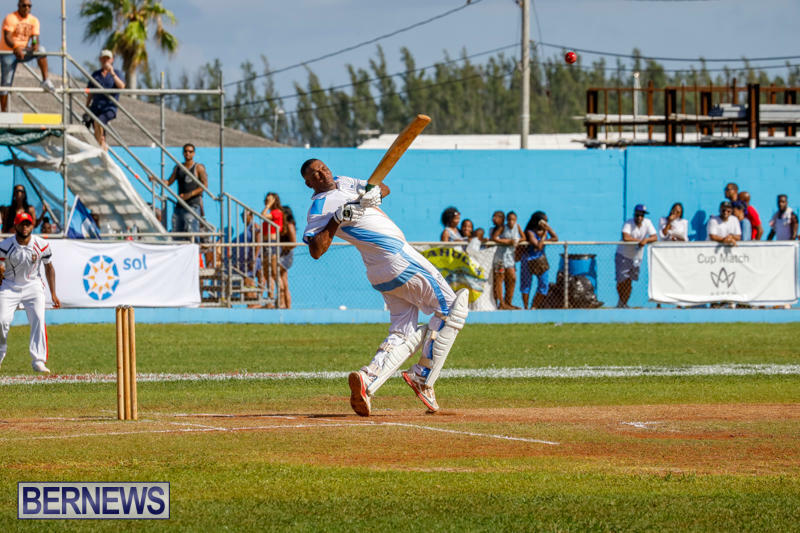 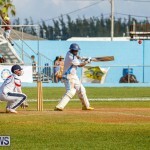 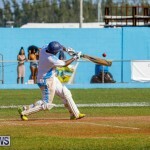 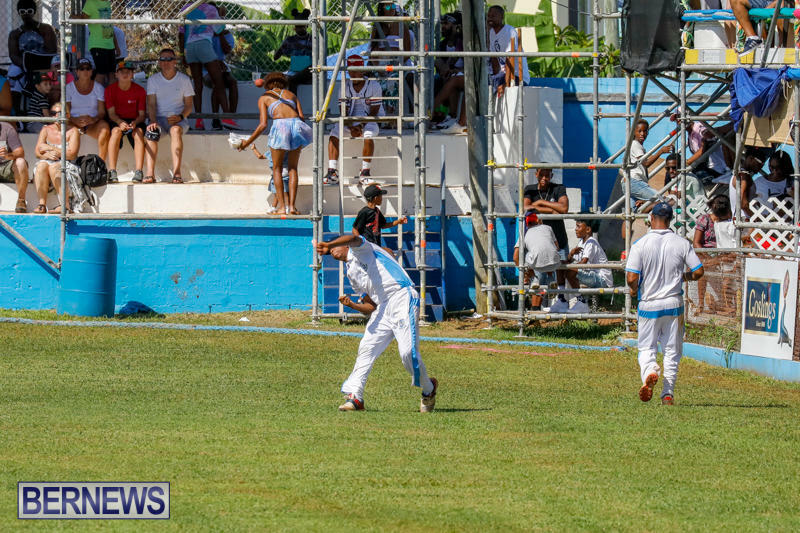 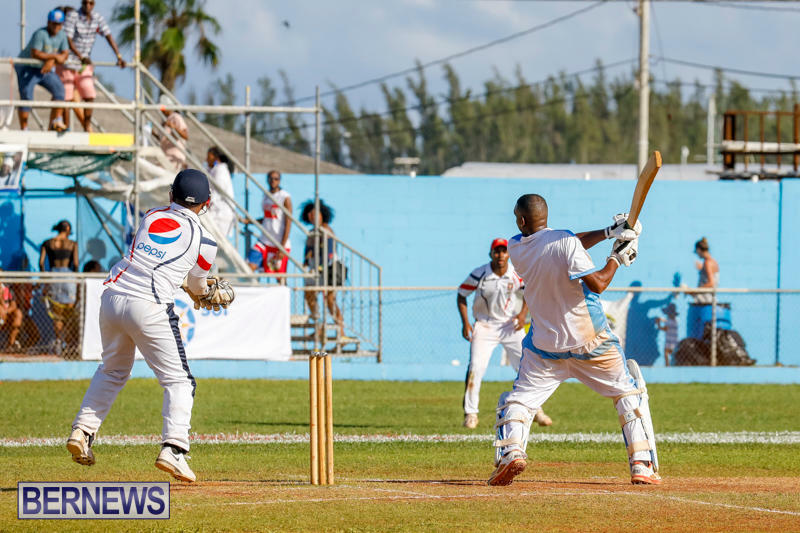 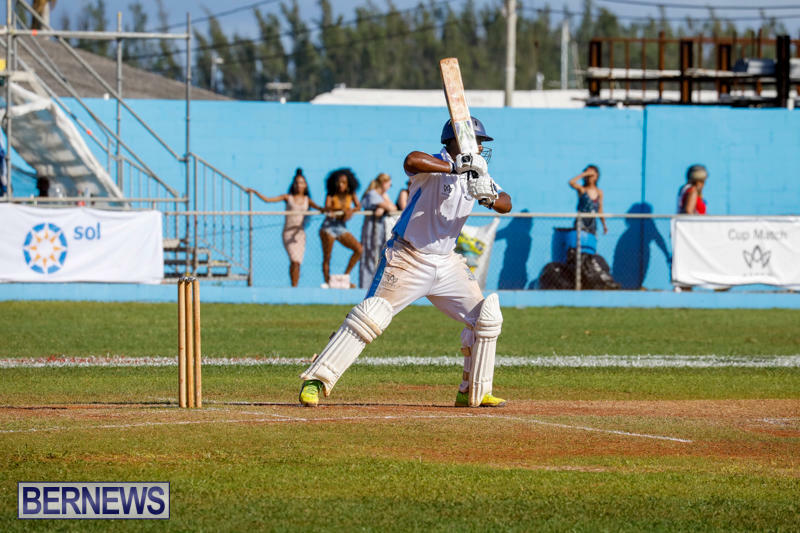 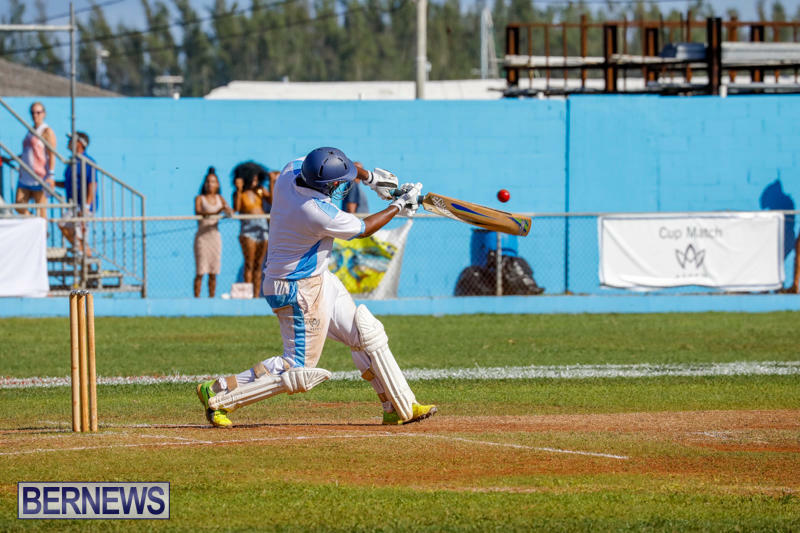 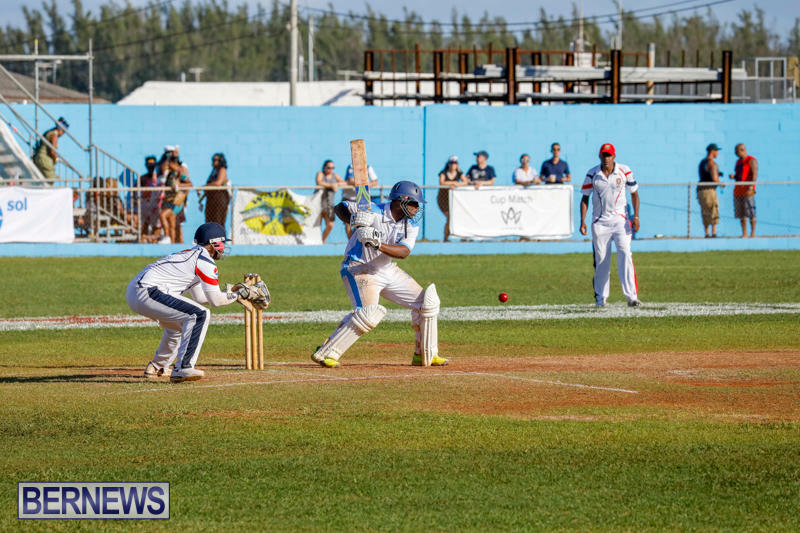 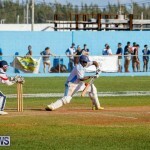 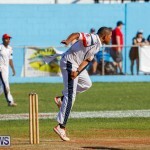 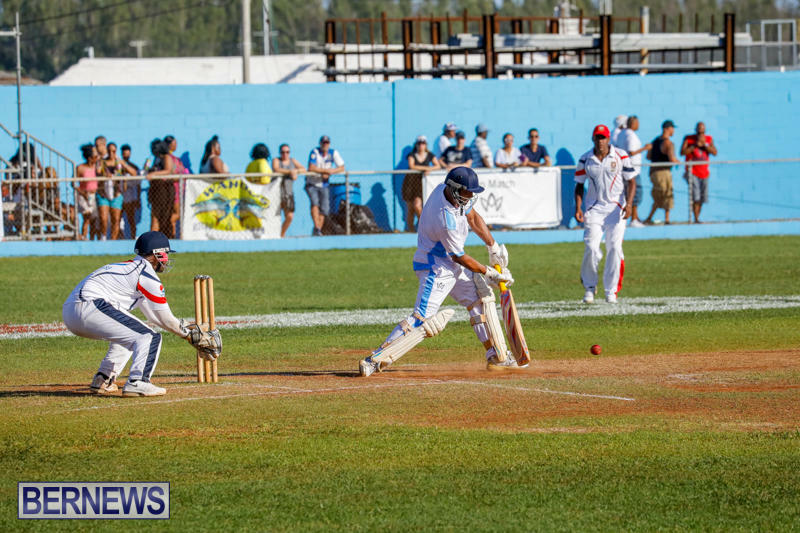 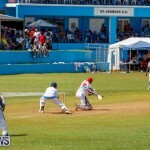 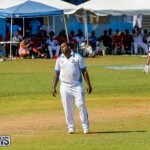 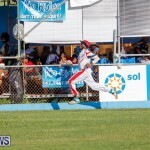 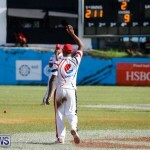 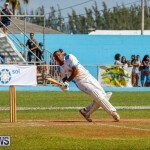 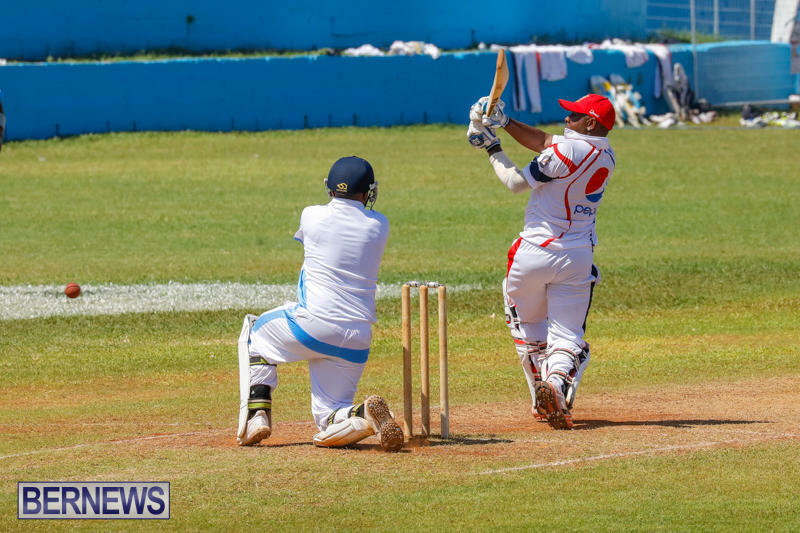 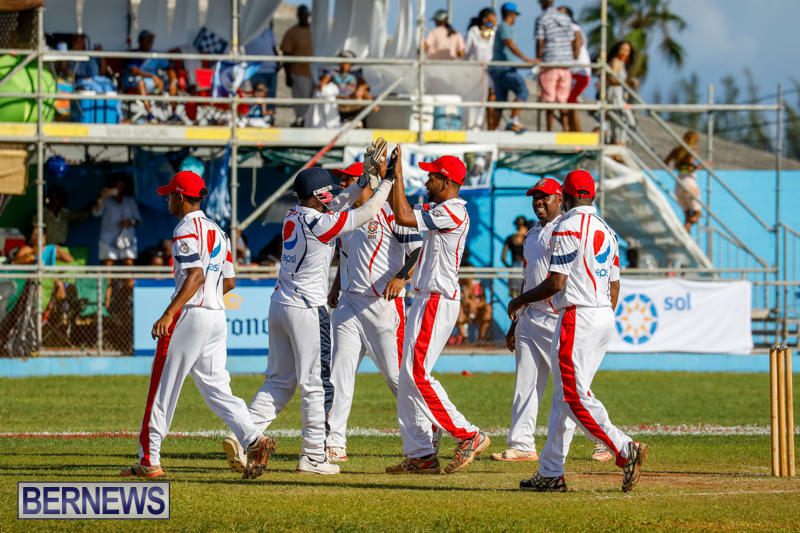 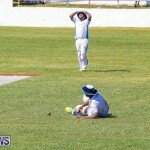 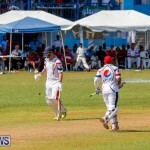 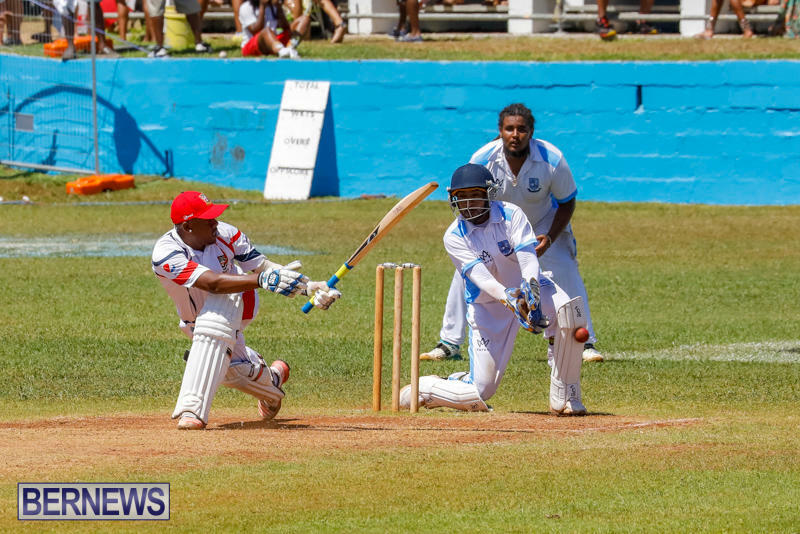 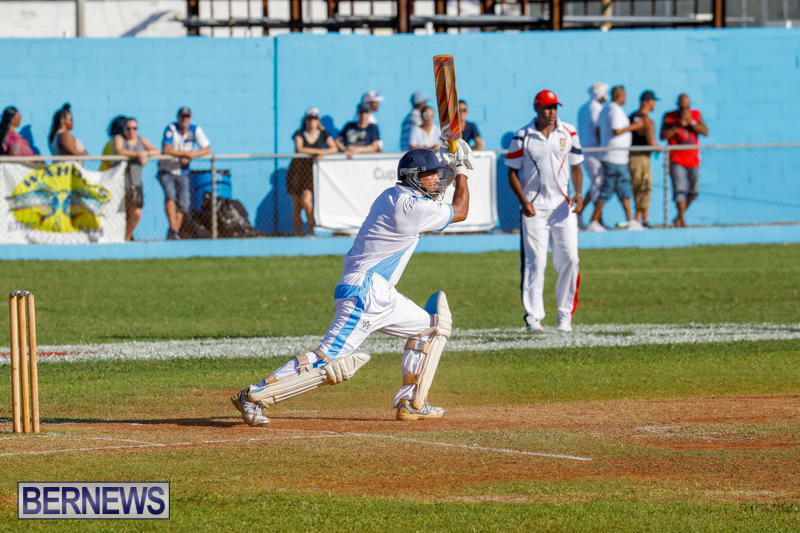 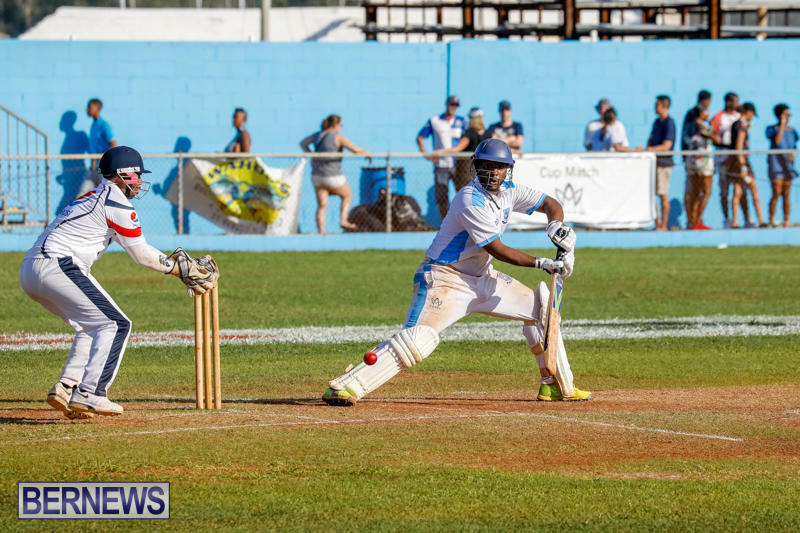 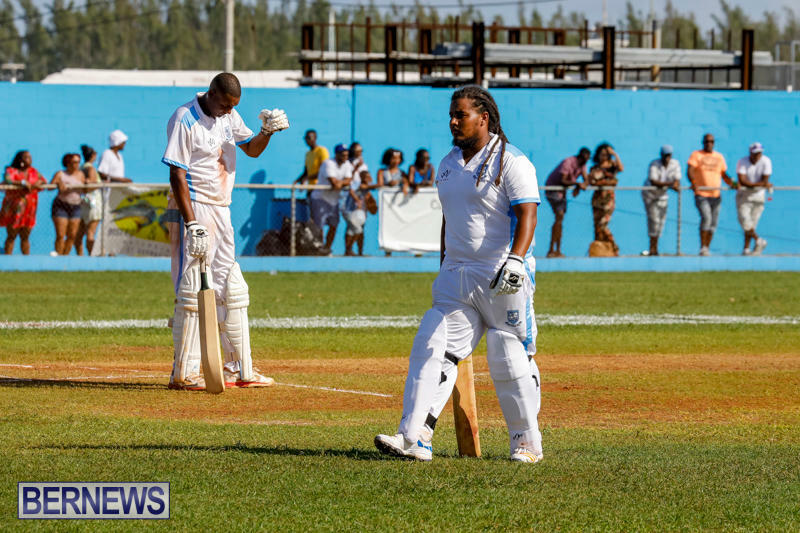 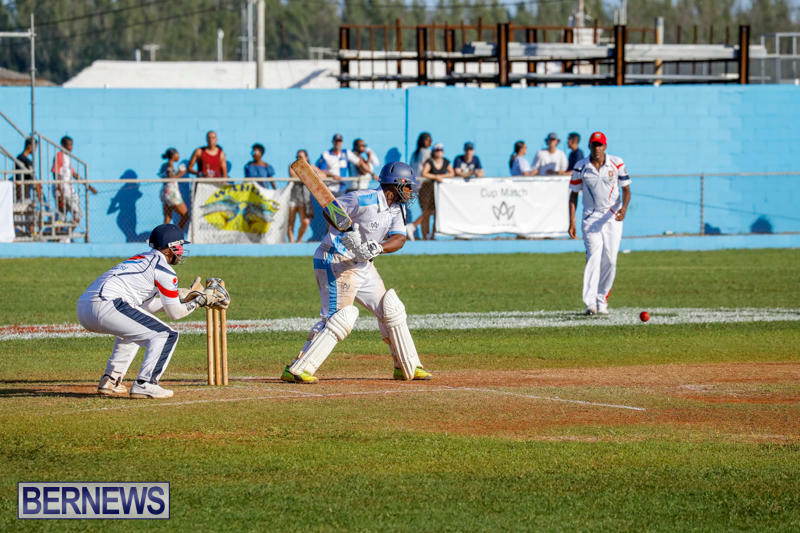 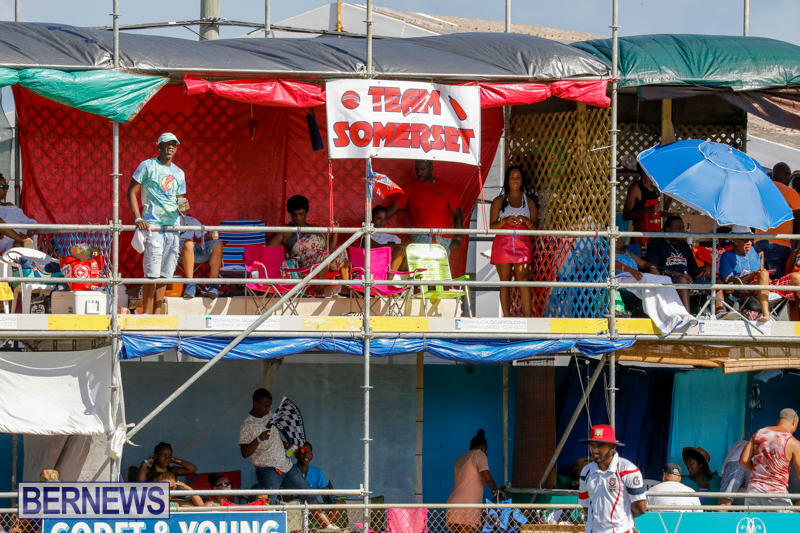 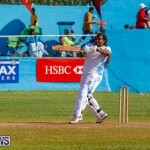 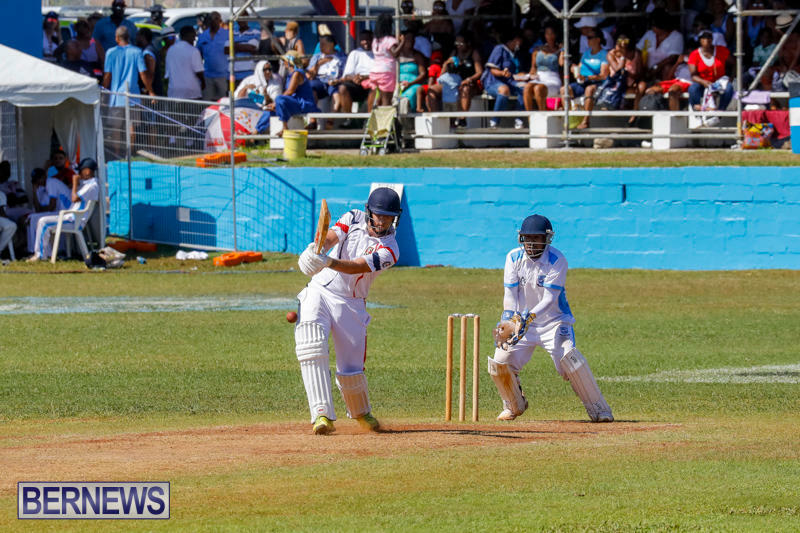 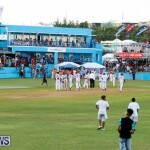 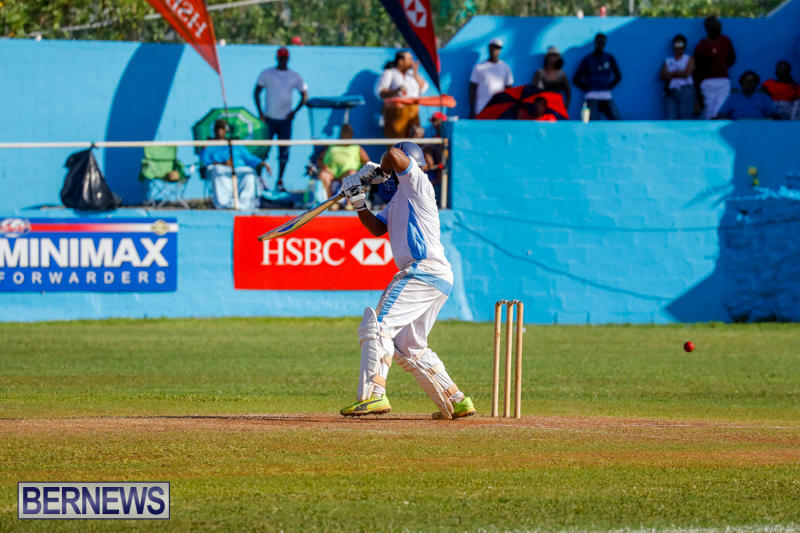 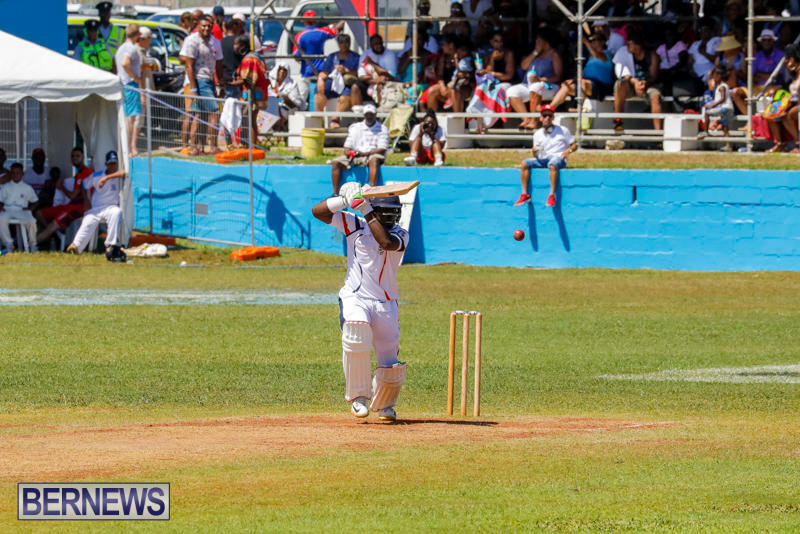 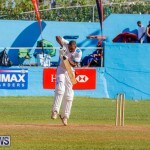 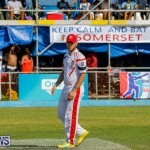 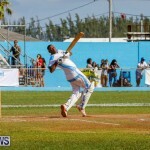 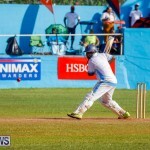 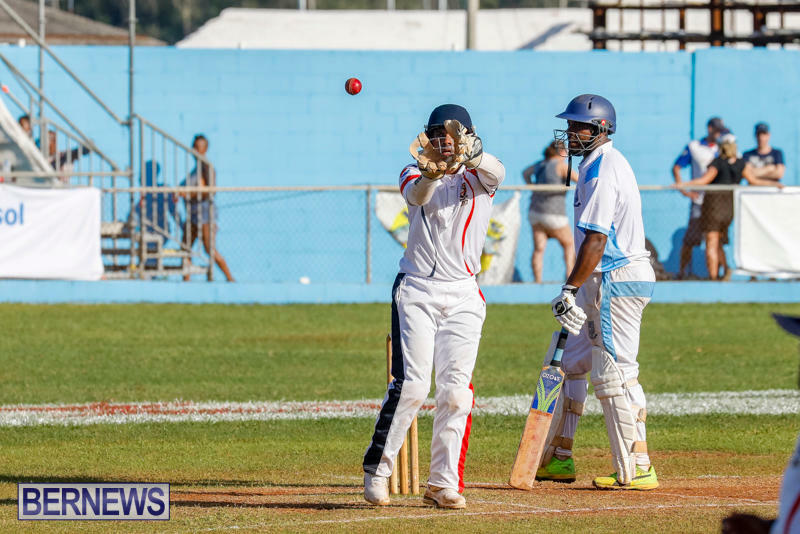 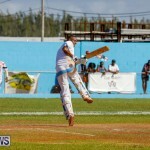 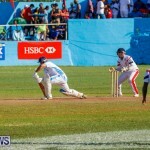 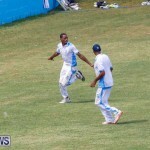 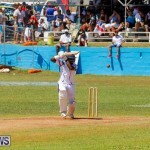 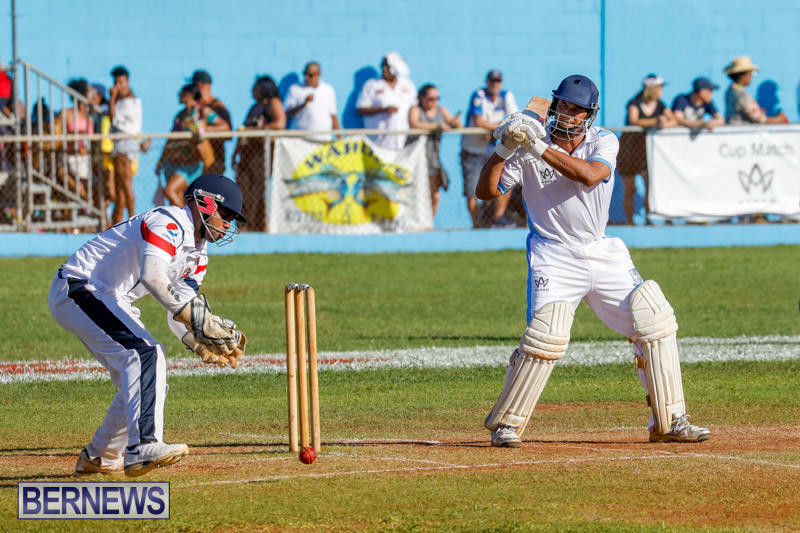 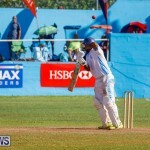 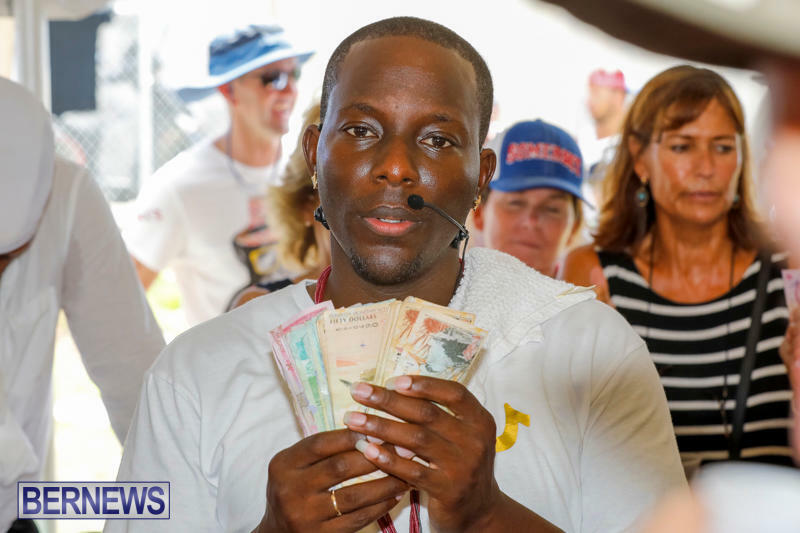 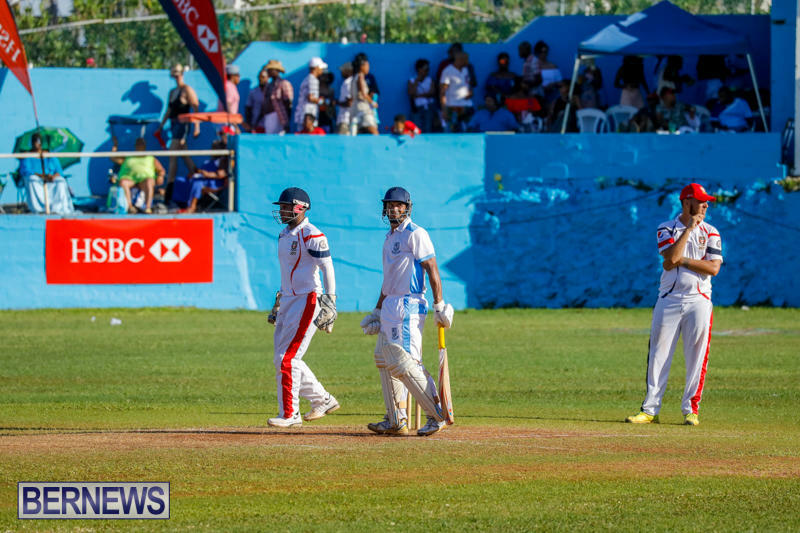 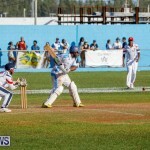 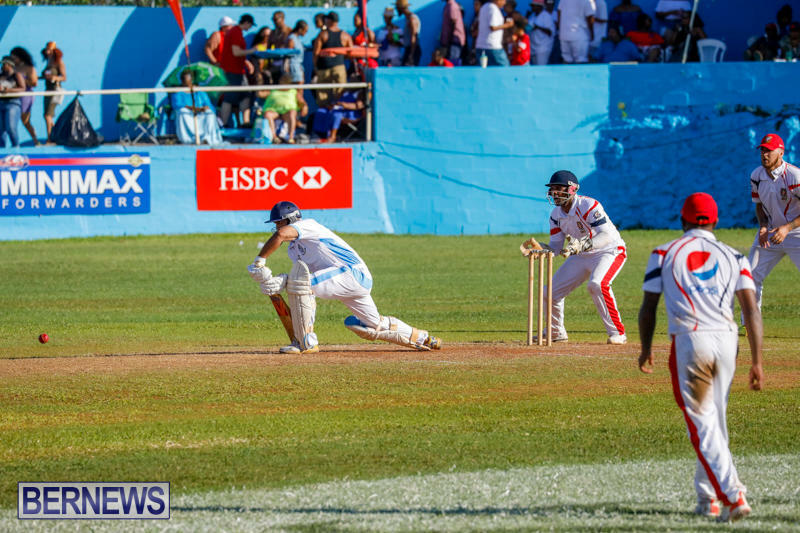 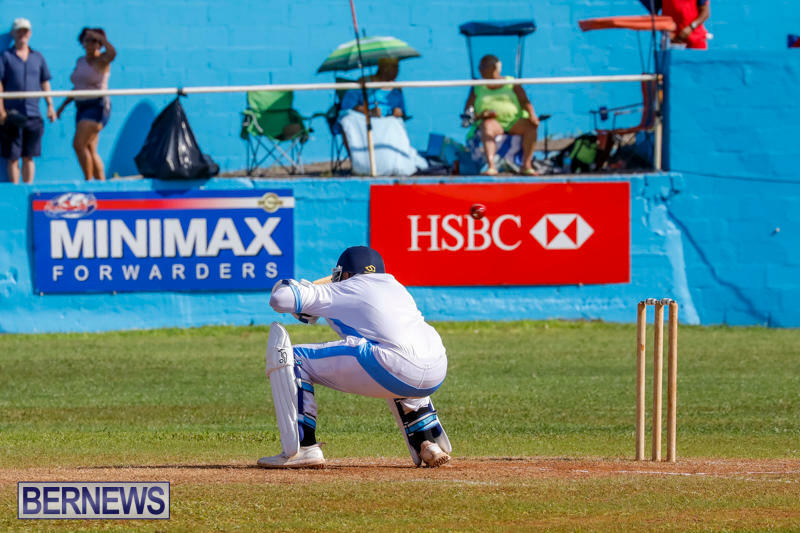 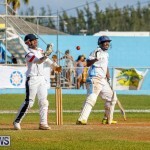 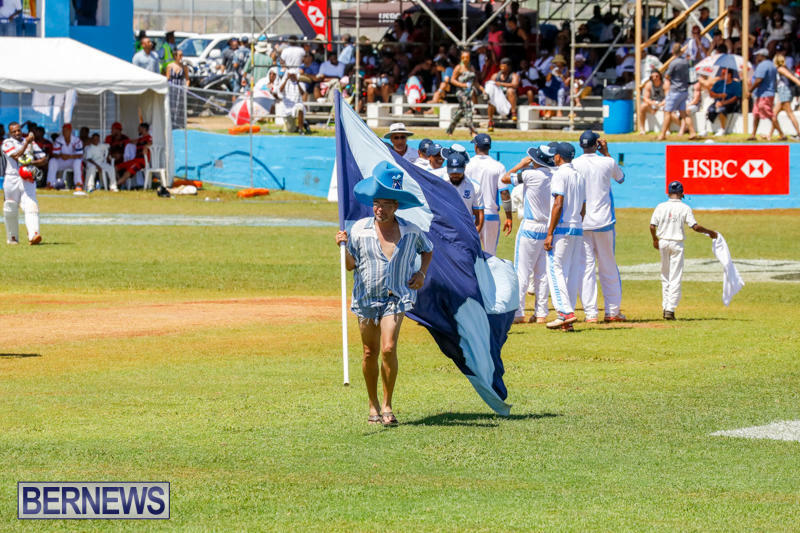 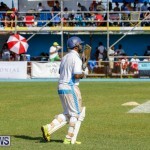 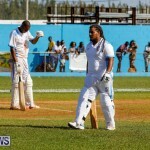 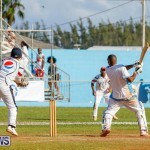 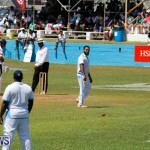 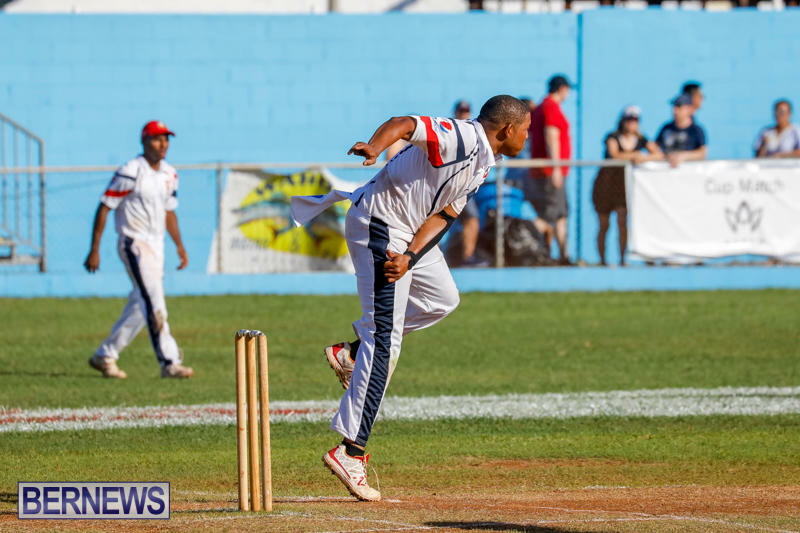 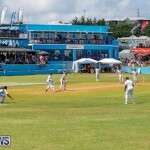 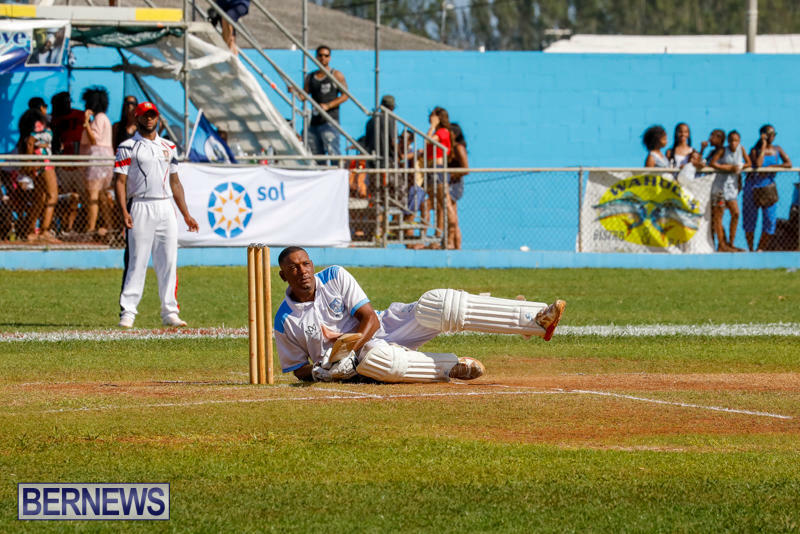 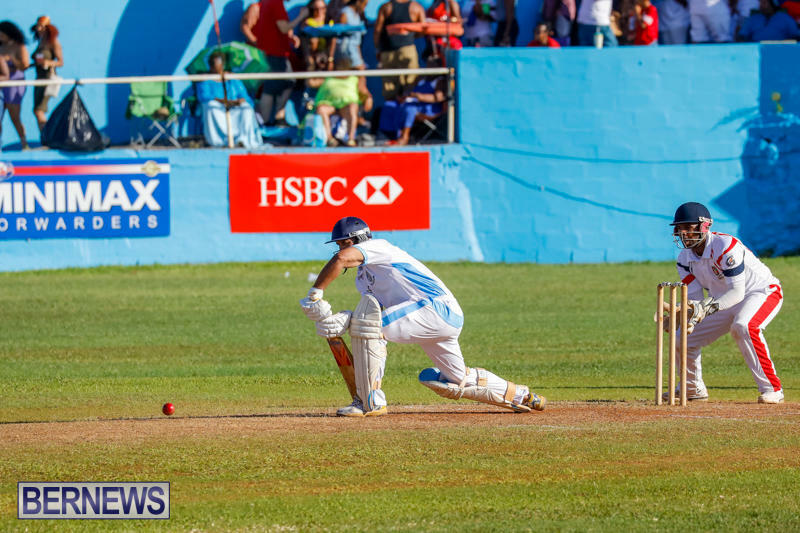 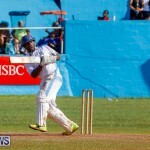 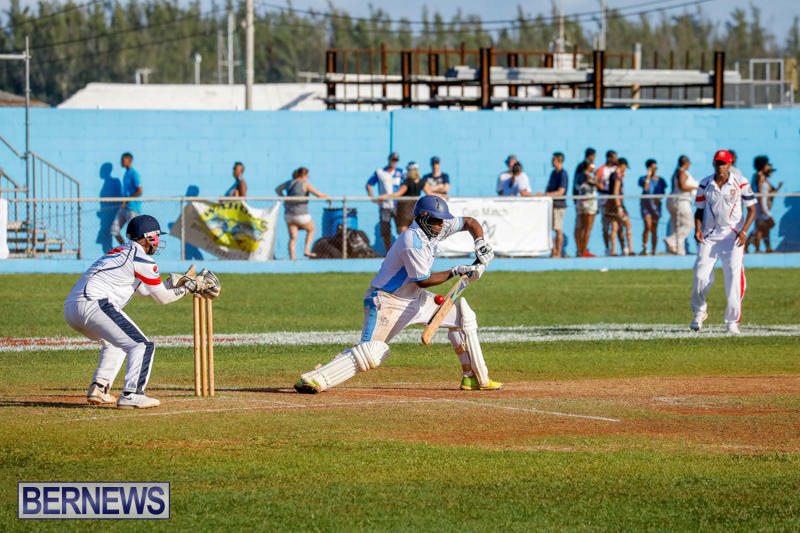 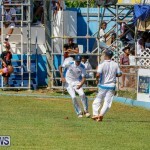 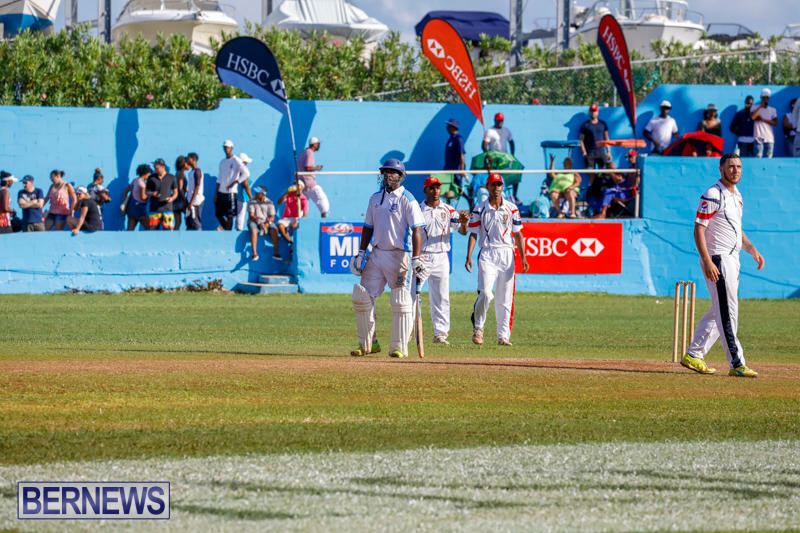 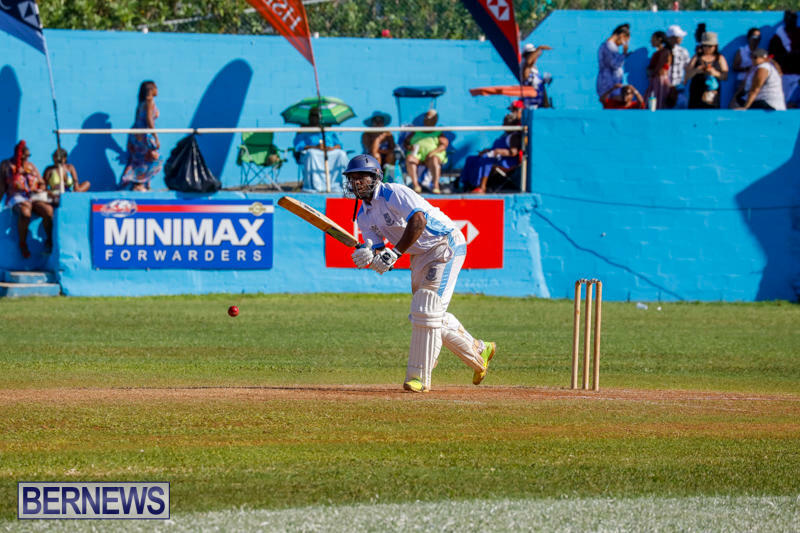 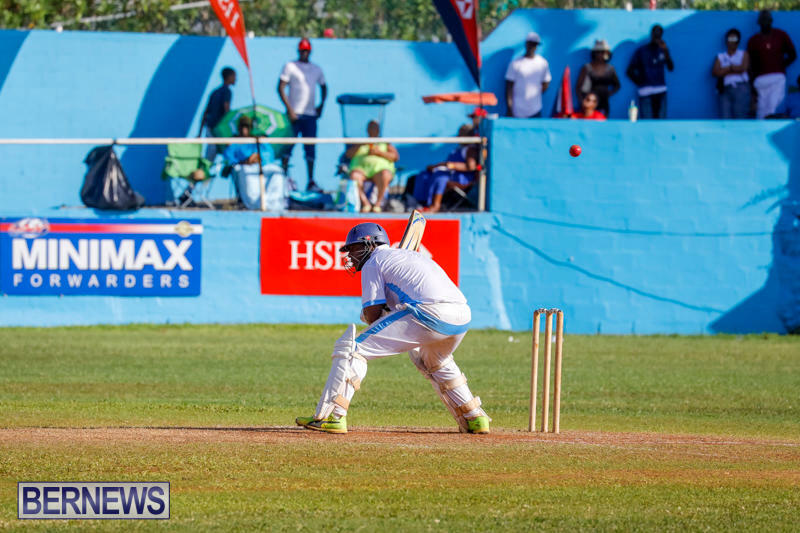 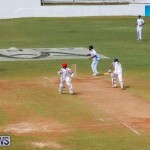 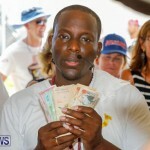 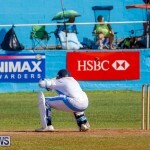 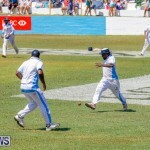 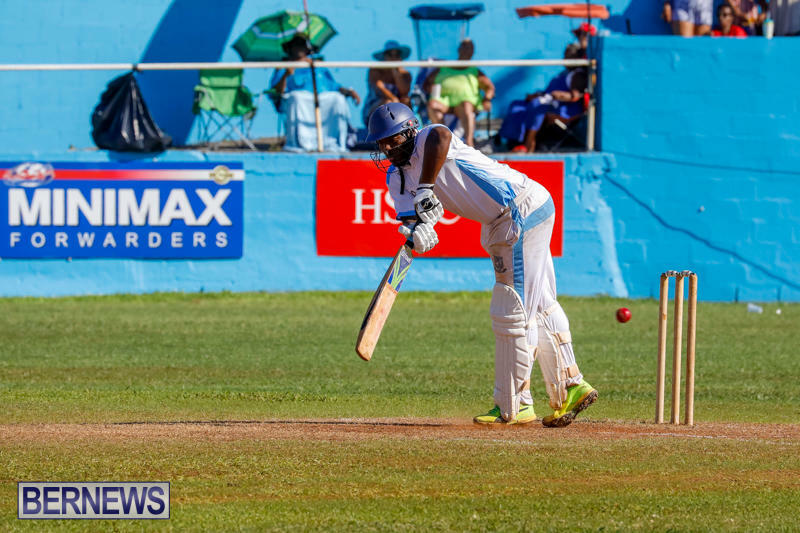 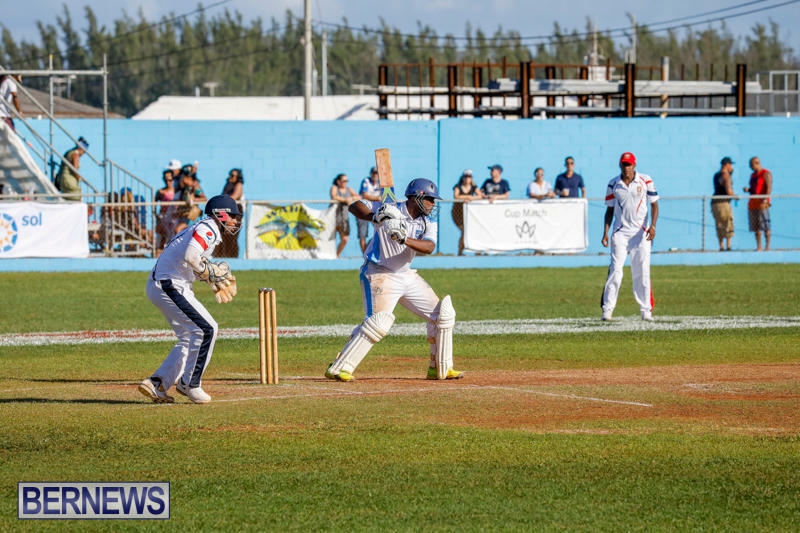 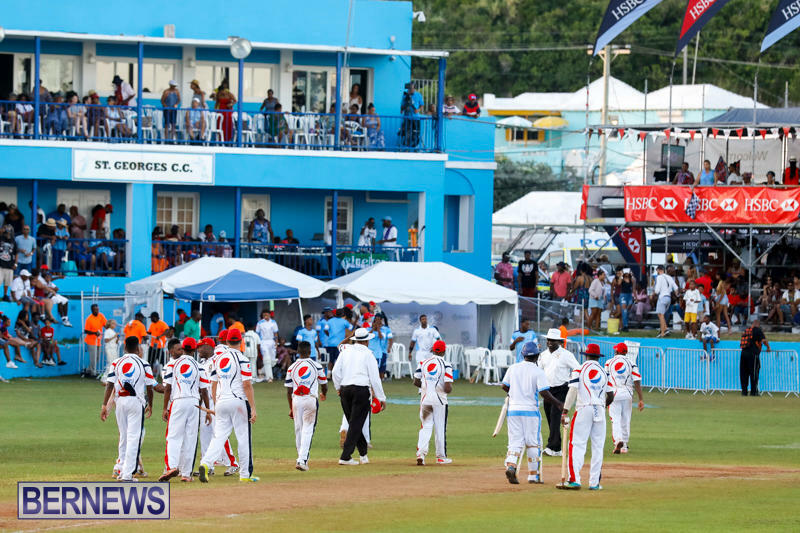 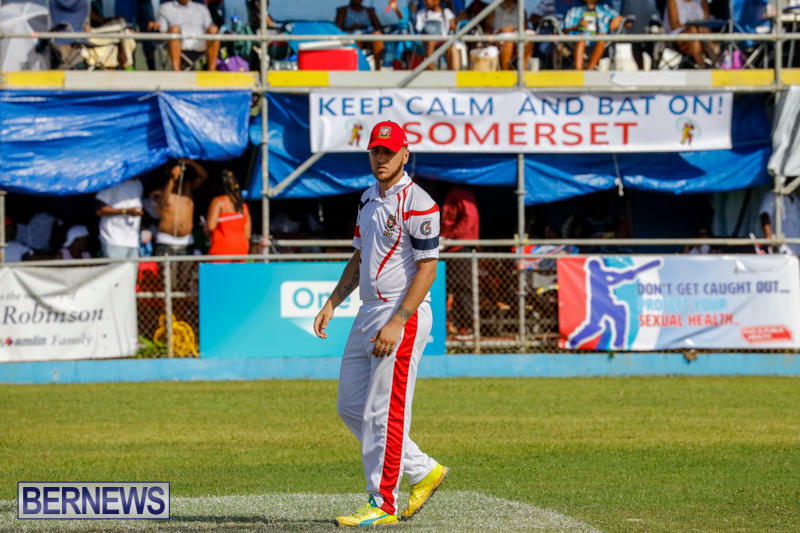 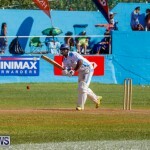 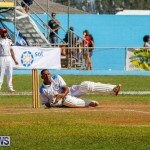 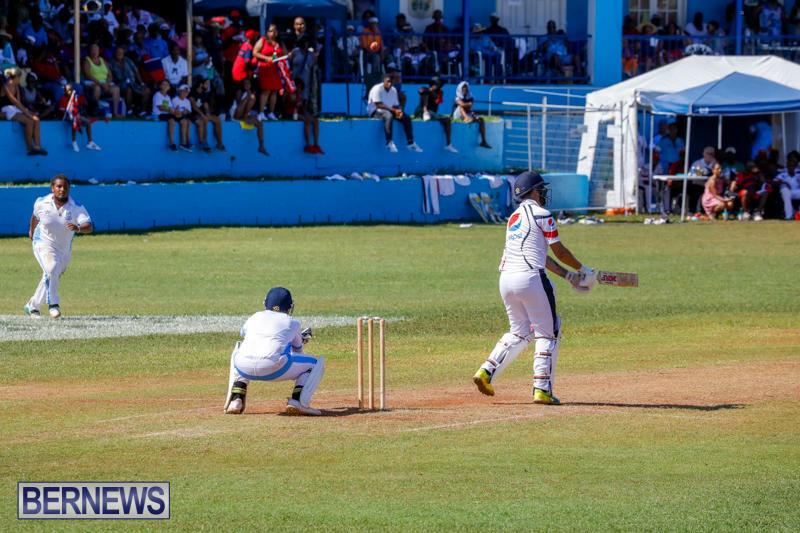 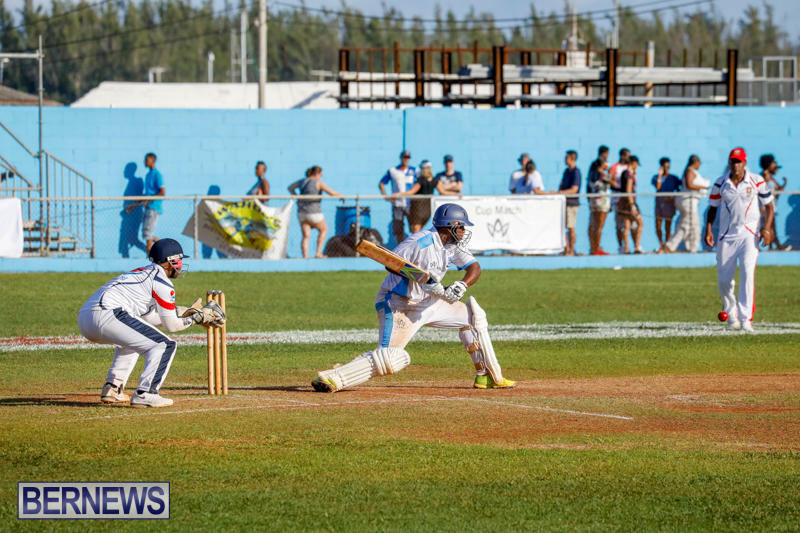 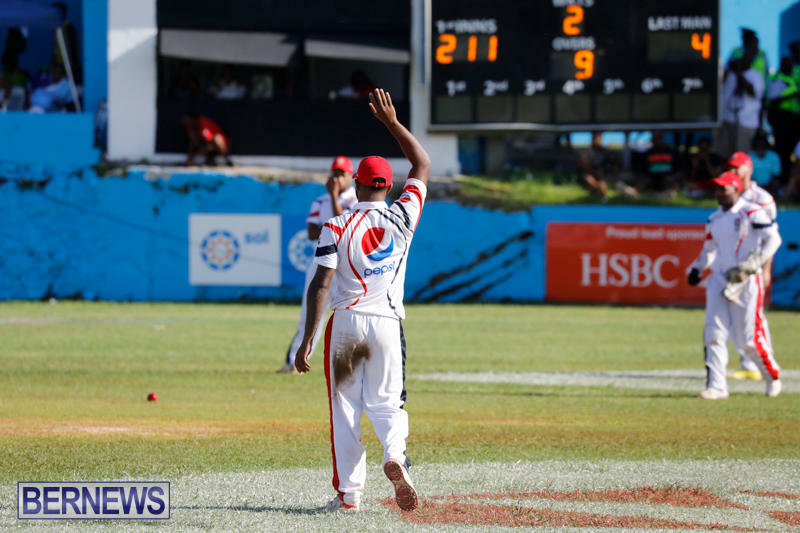 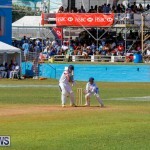 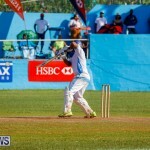 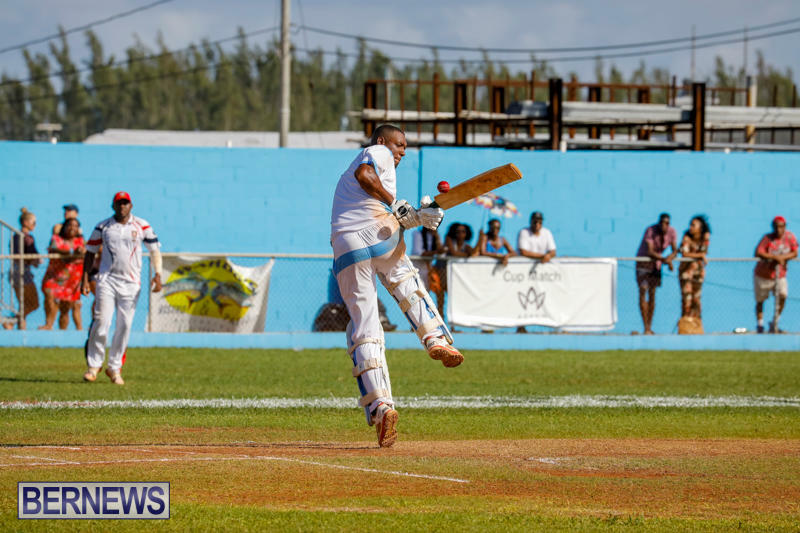 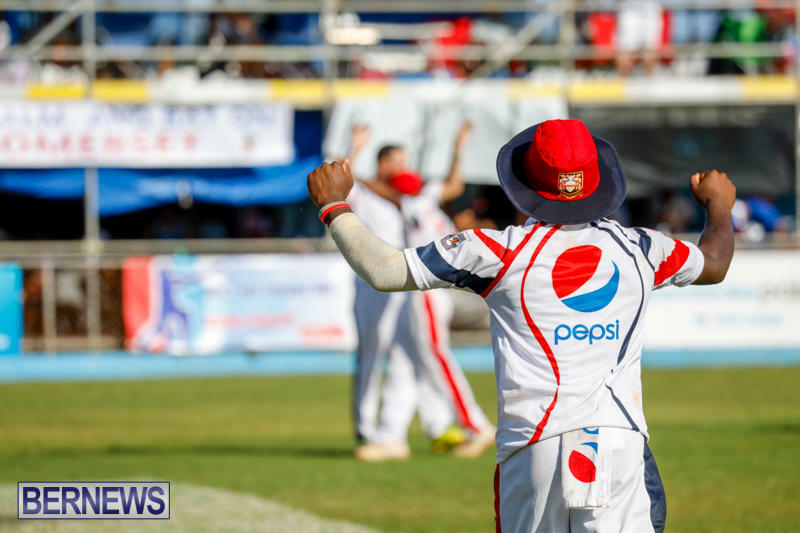 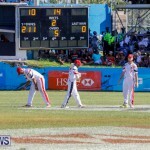 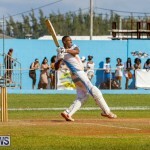 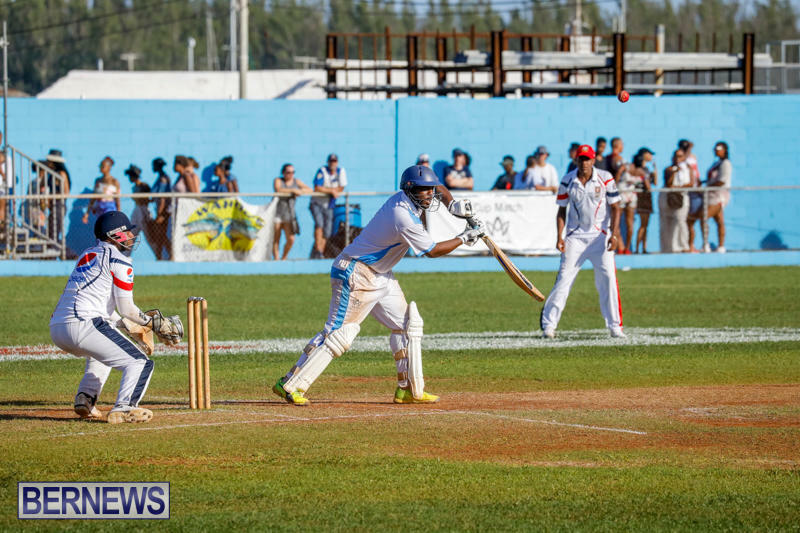 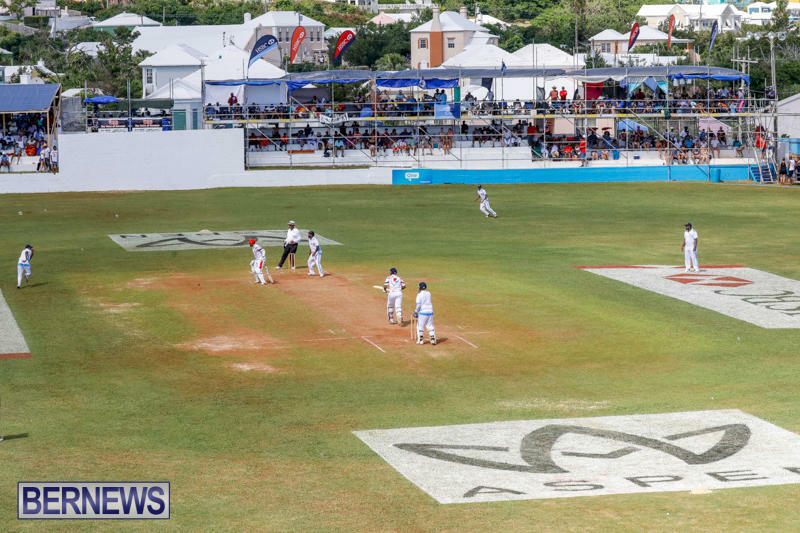 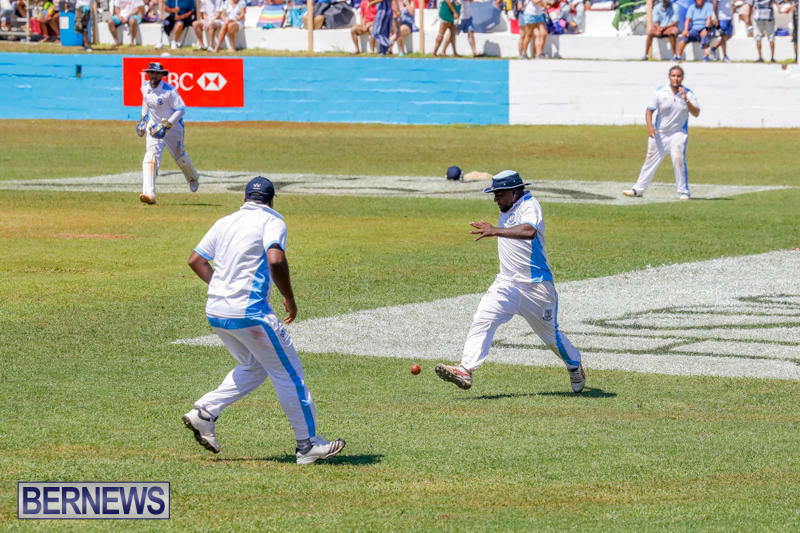 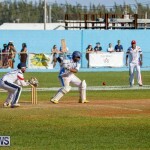 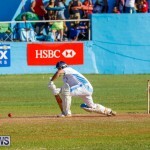 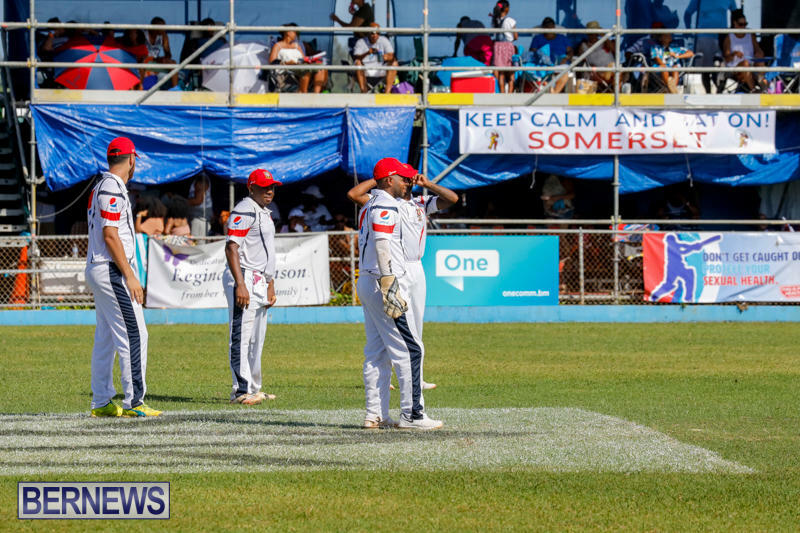 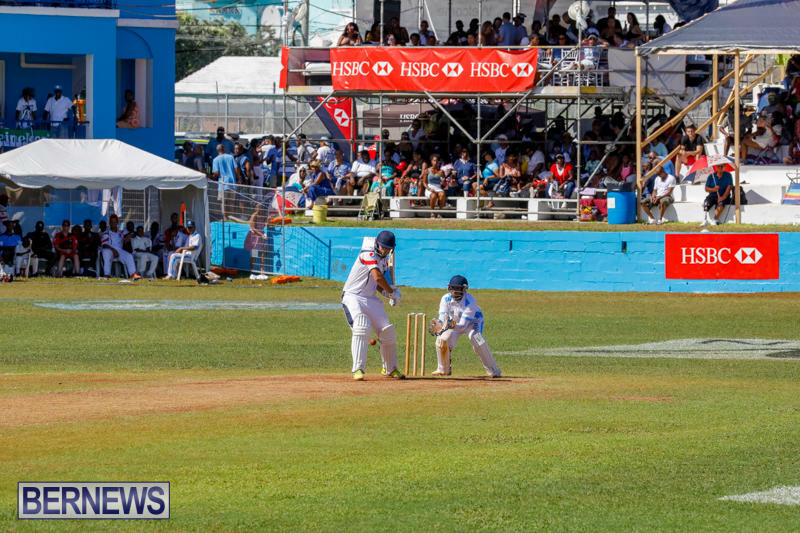 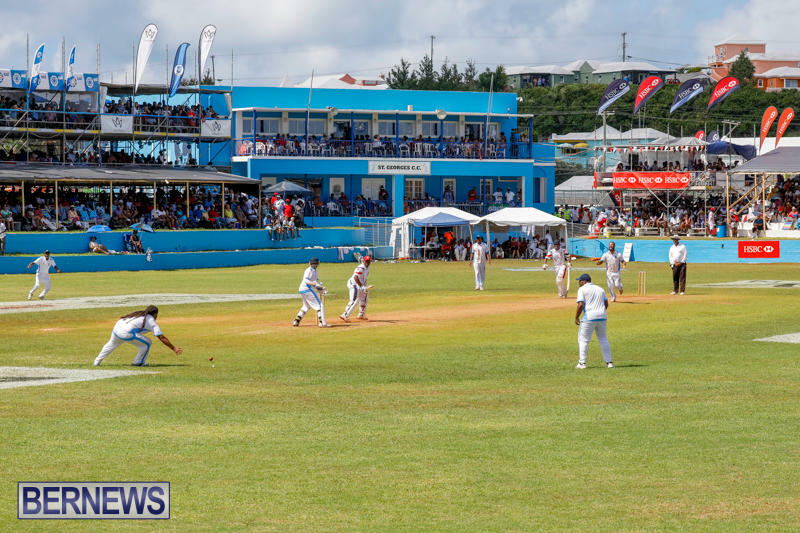 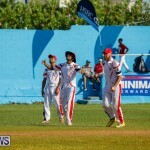 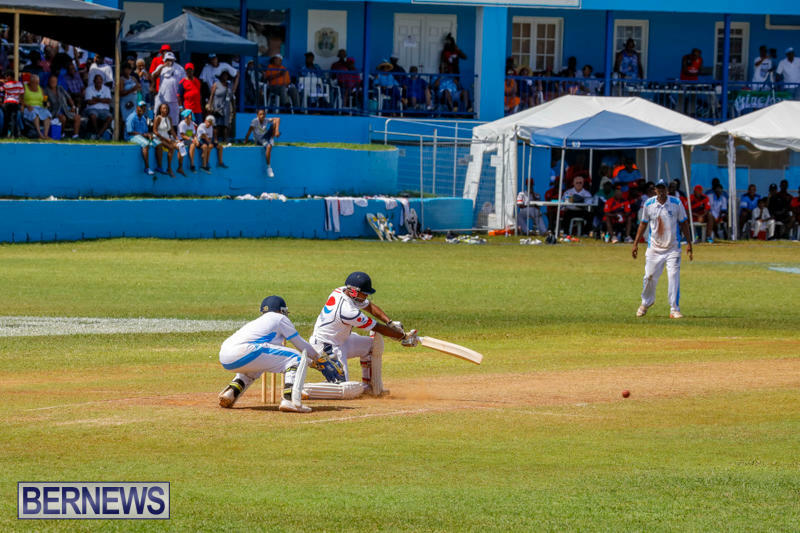 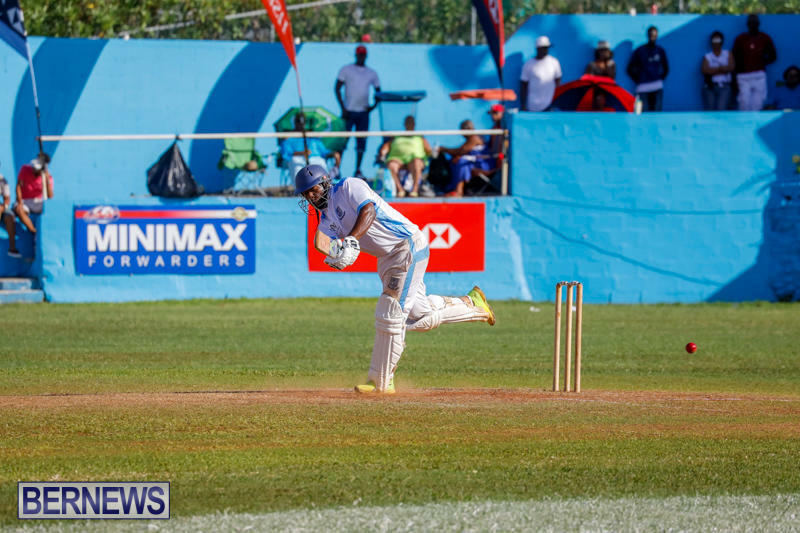 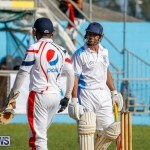 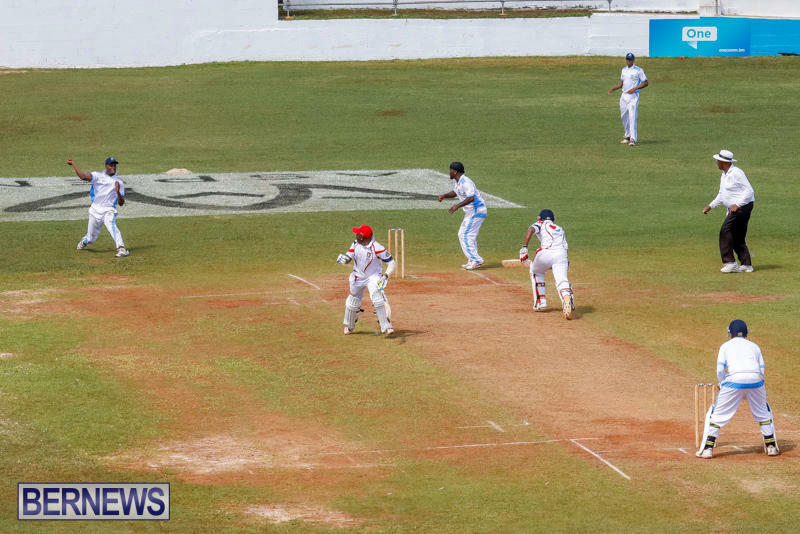 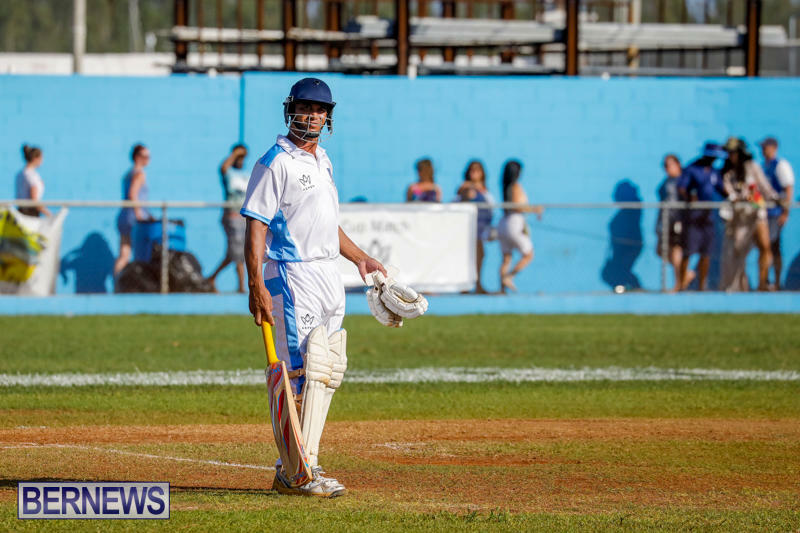 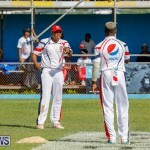 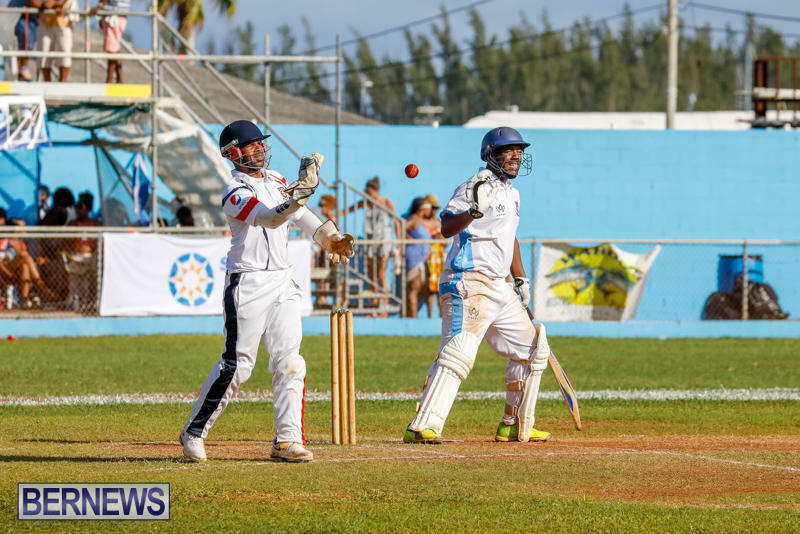 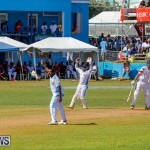 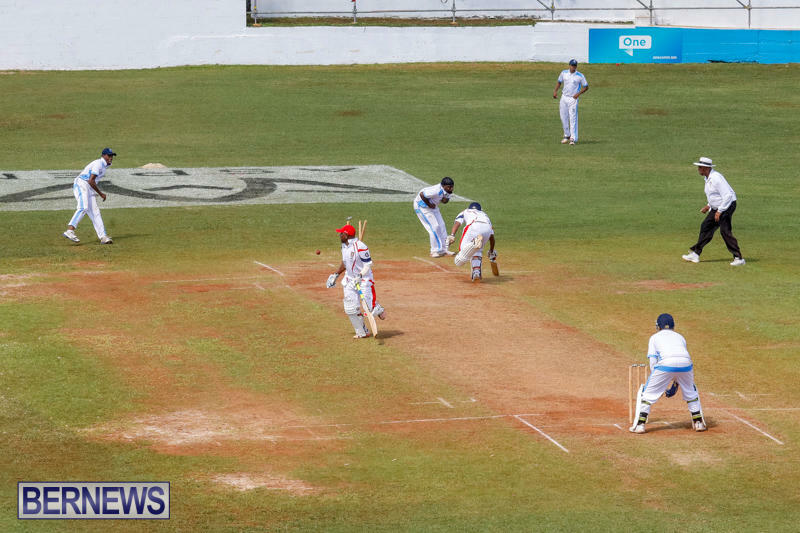 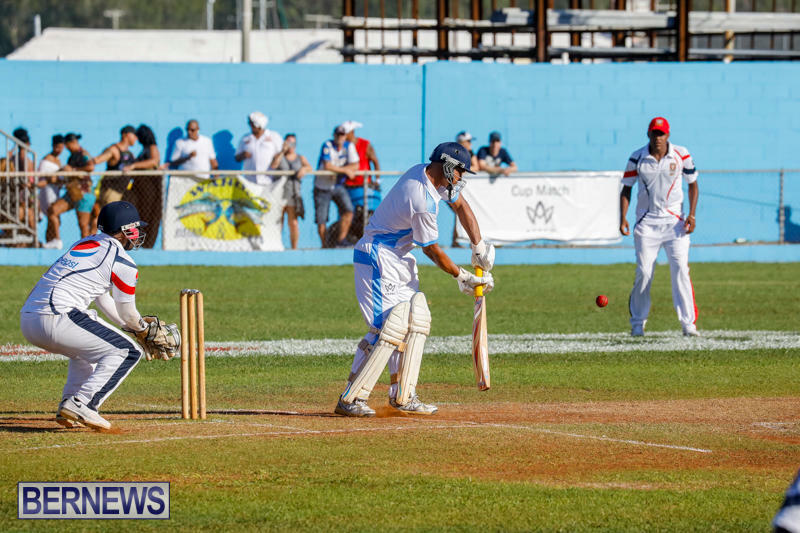 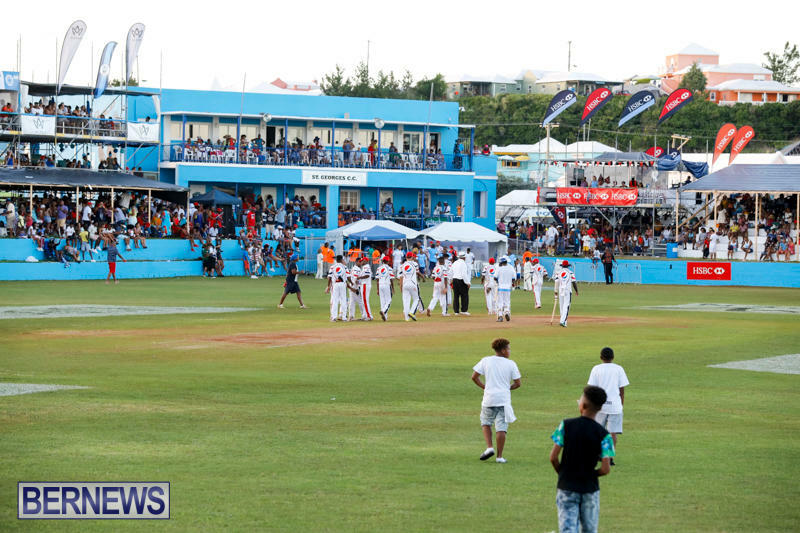 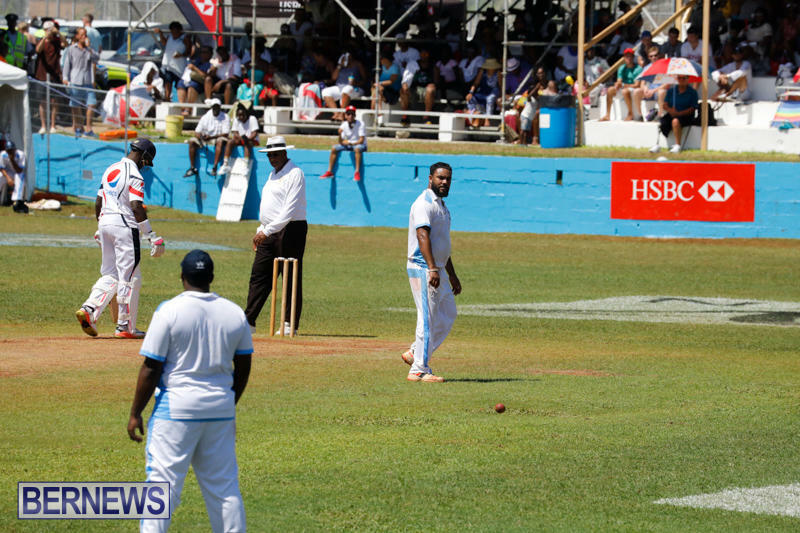 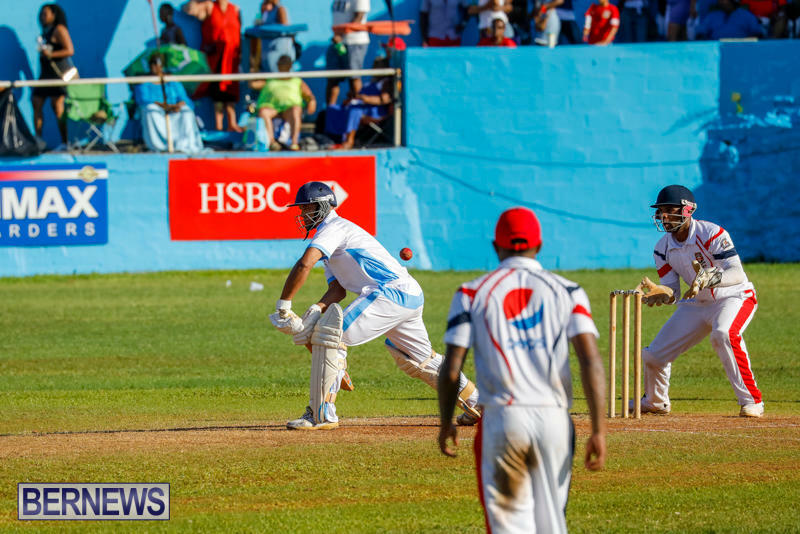 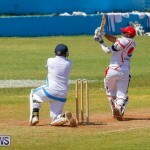 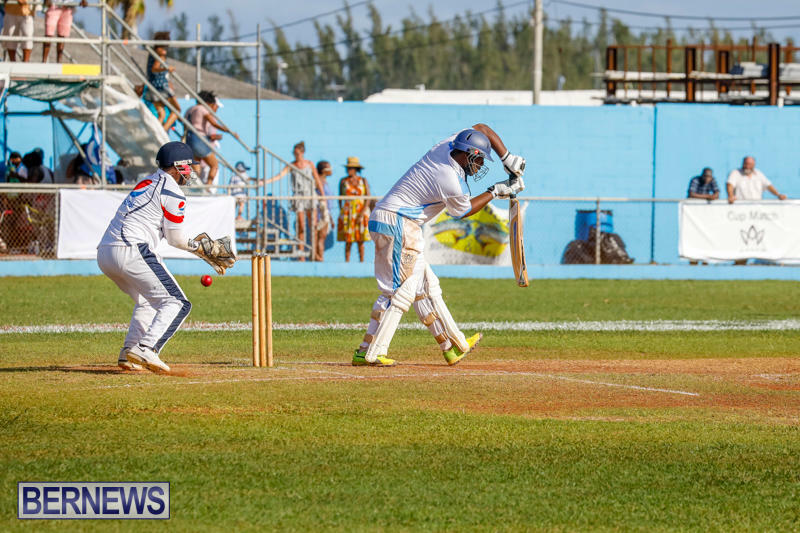 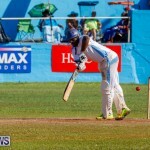 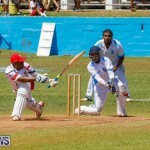 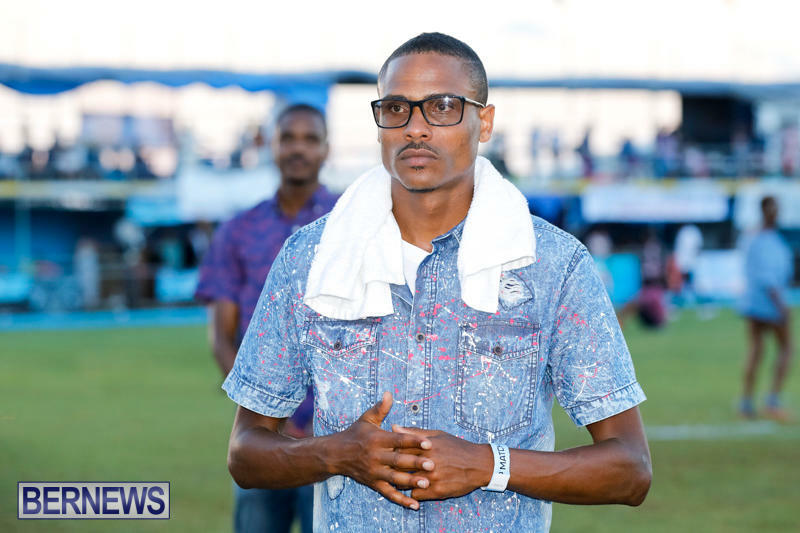 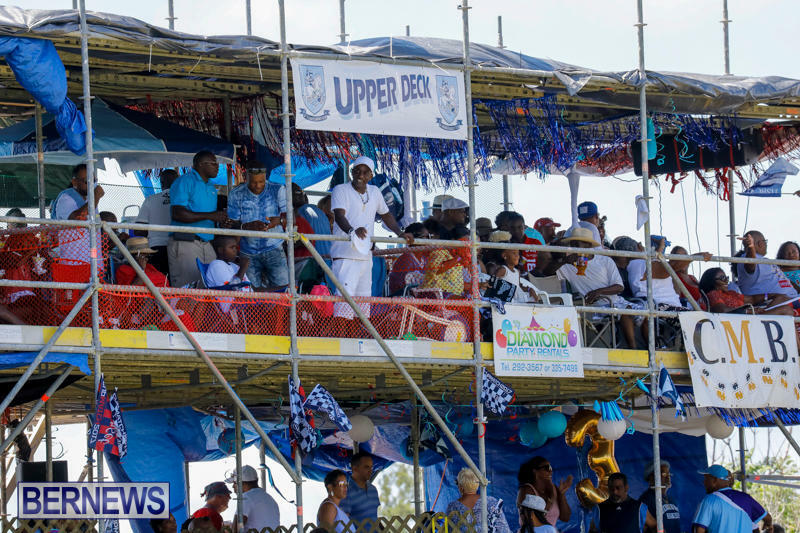 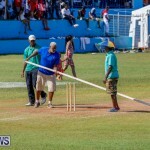 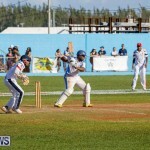 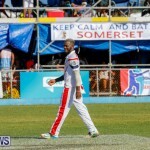 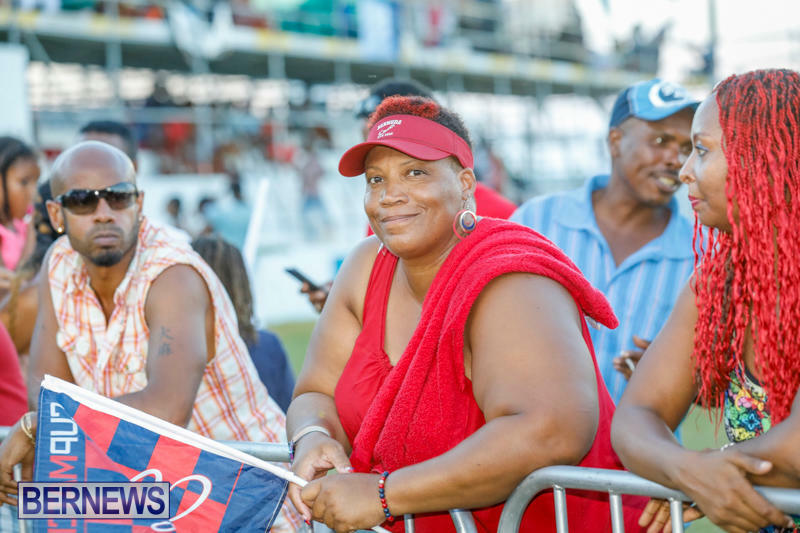 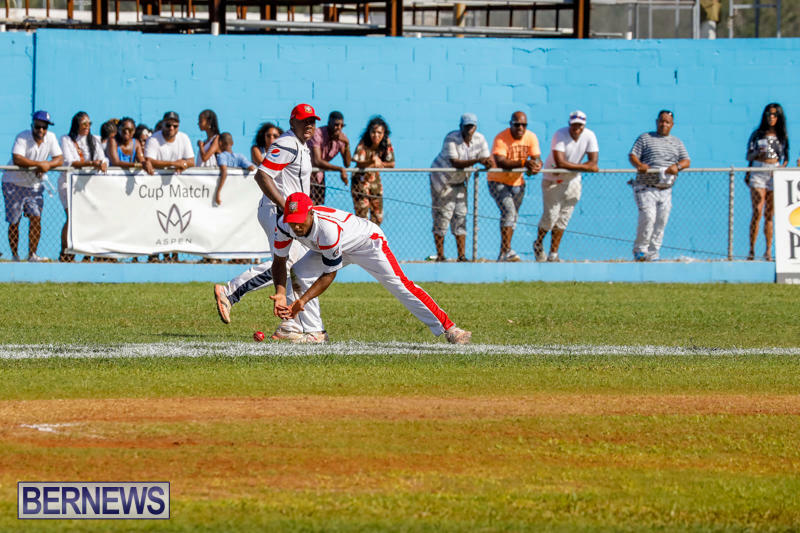 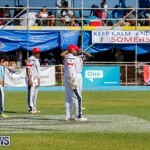 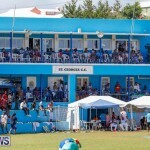 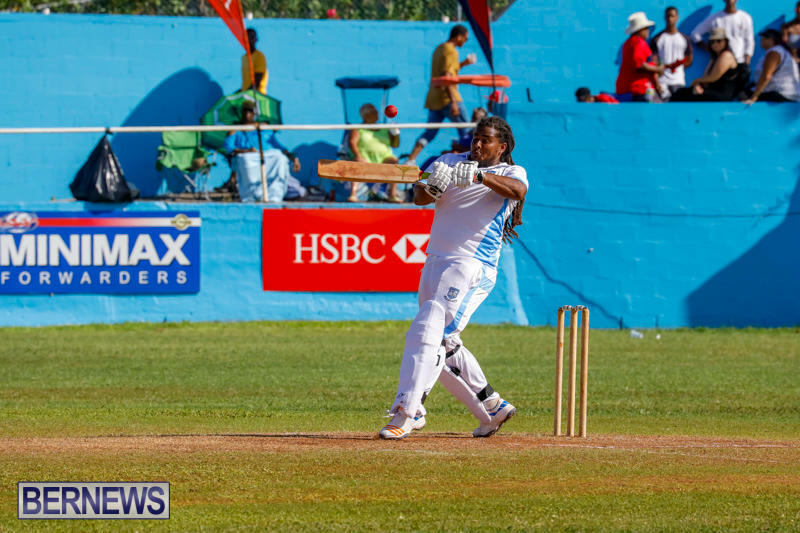 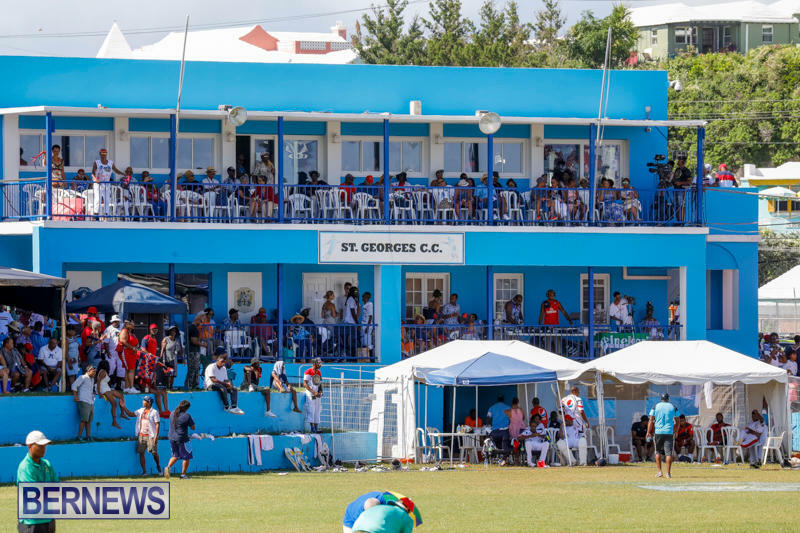 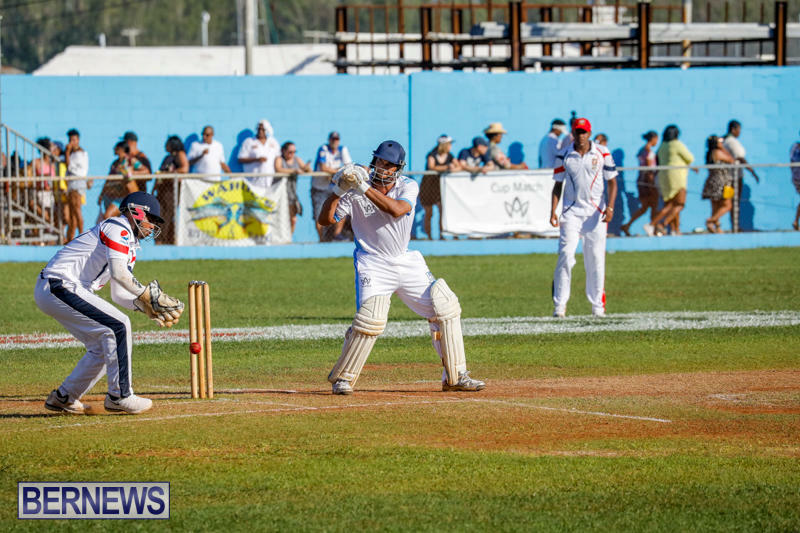 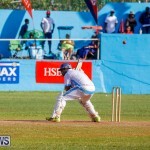 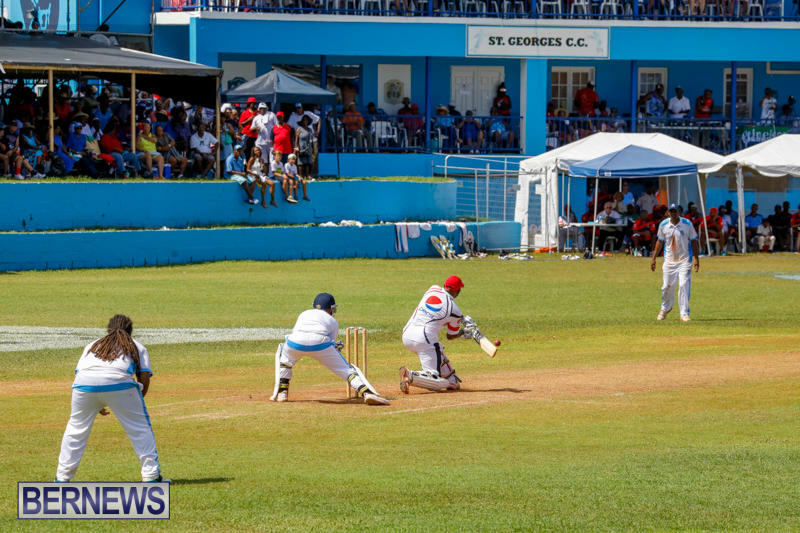 St. George’s could only muster 105 runs in the second innings when the match was called. 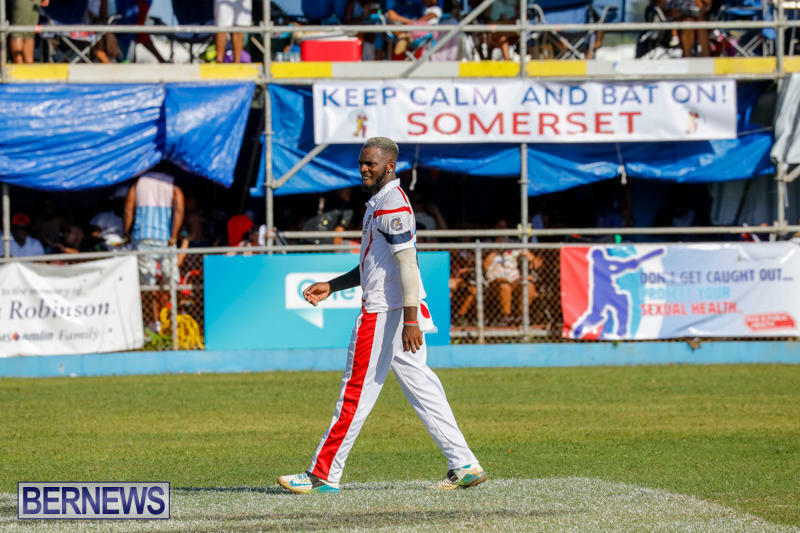 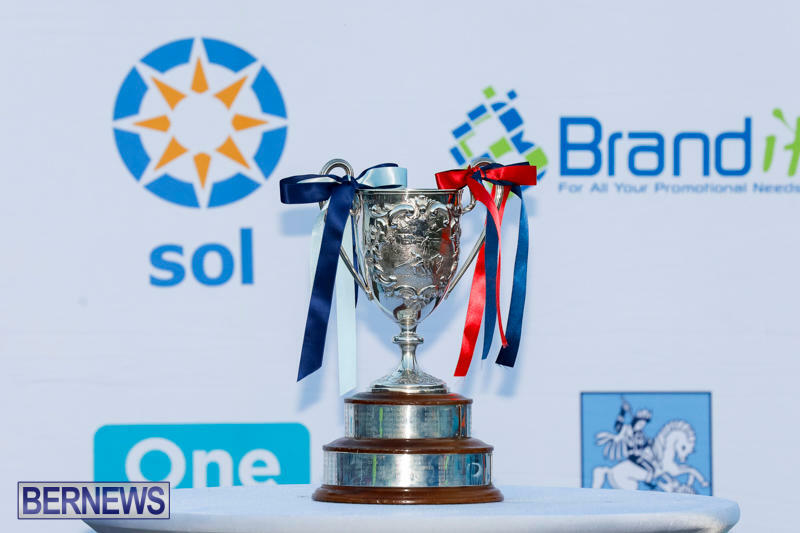 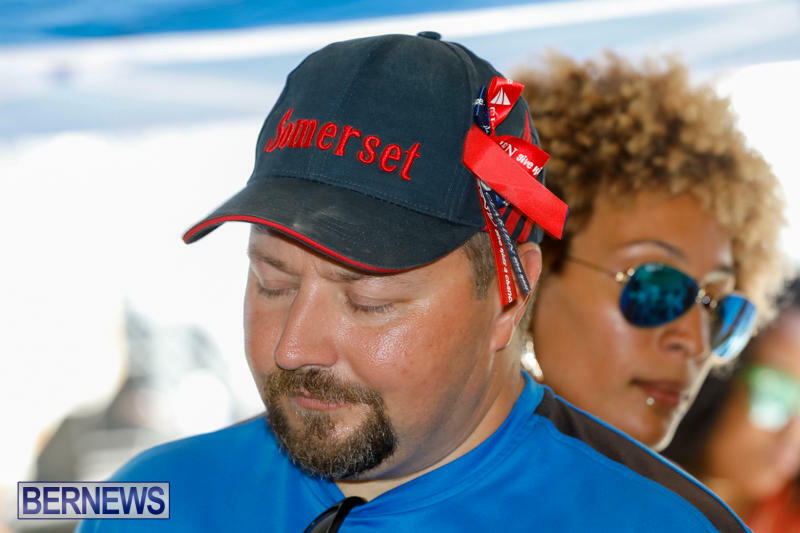 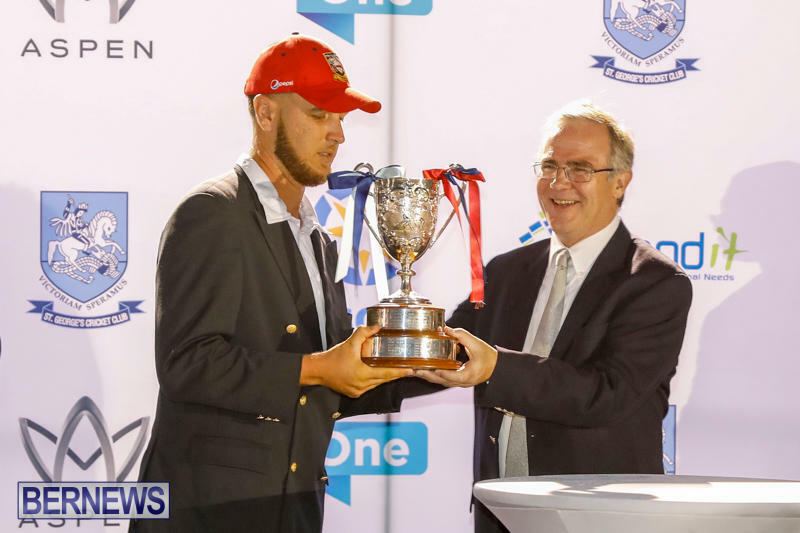 This marks the sixth time Somerset has held onto the cup for five or more years.